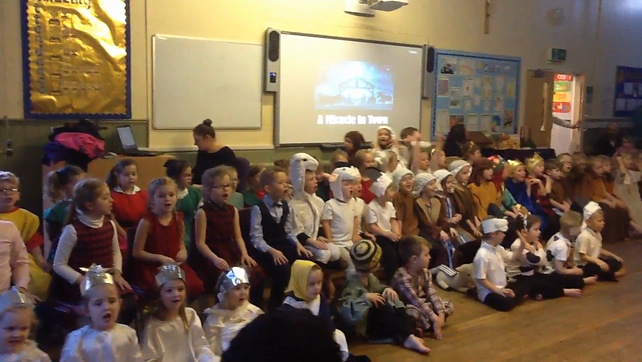 This week, Class 1 and Class 2 came together to produce a wonderful Key Stage 1 Nativity which was called A Miracle in Town! 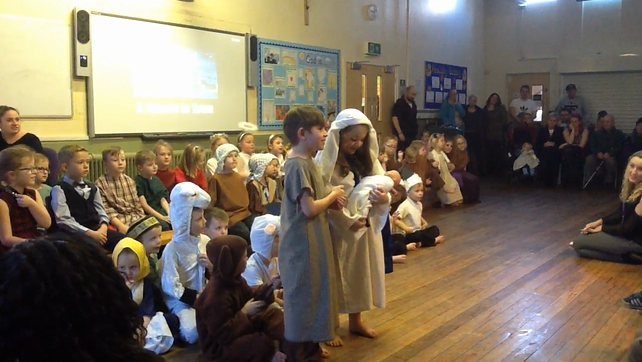 Everyone worked so hard and practised together beautifully to create a nativity for our school and parents that we will never forget. 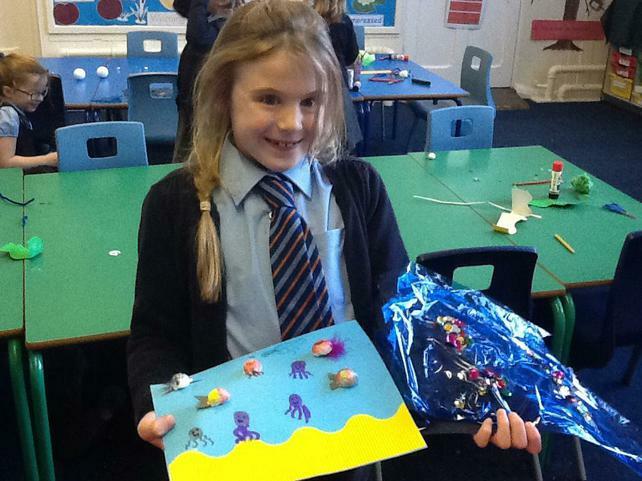 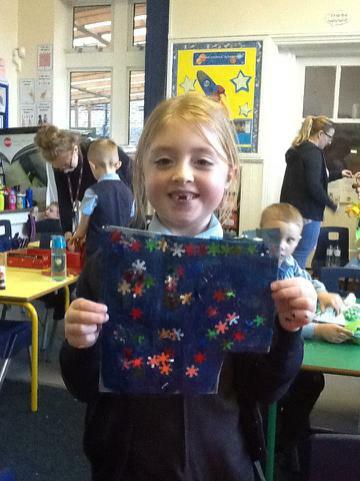 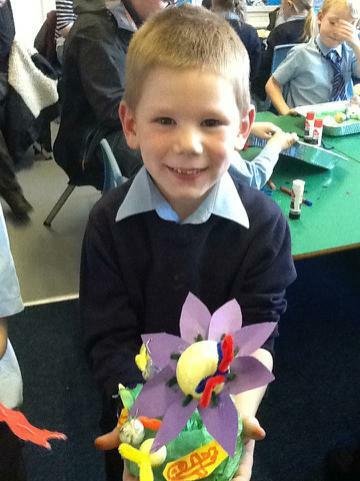 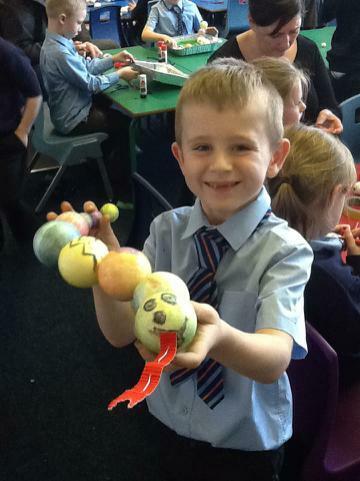 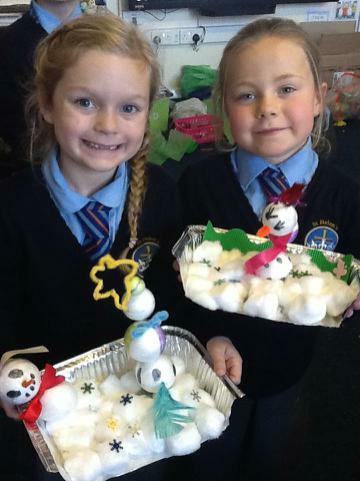 Fantastic work everyone in Class 1 and 2! 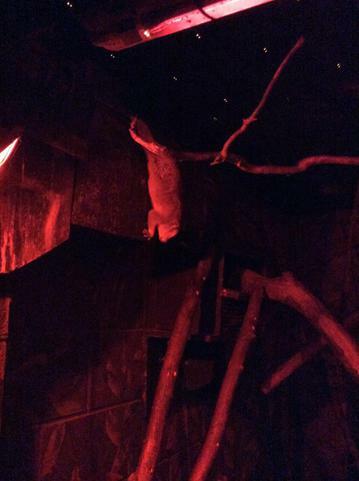 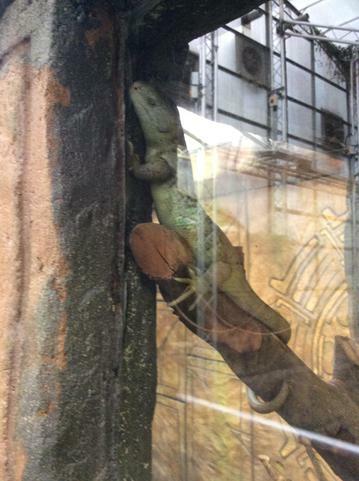 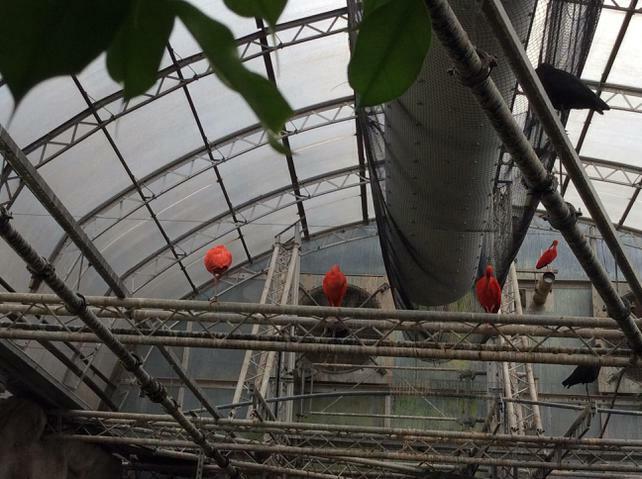 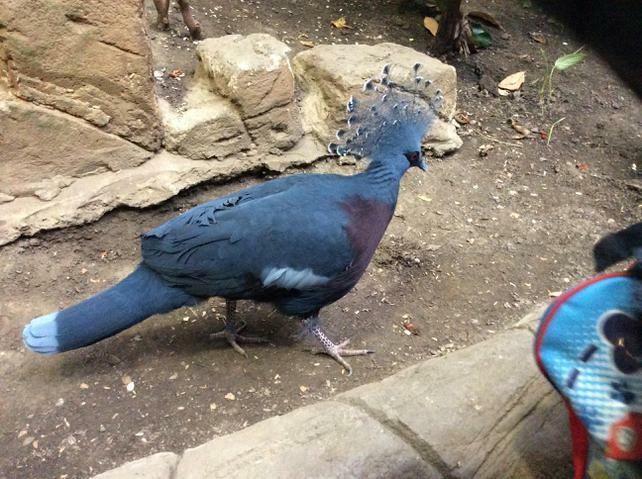 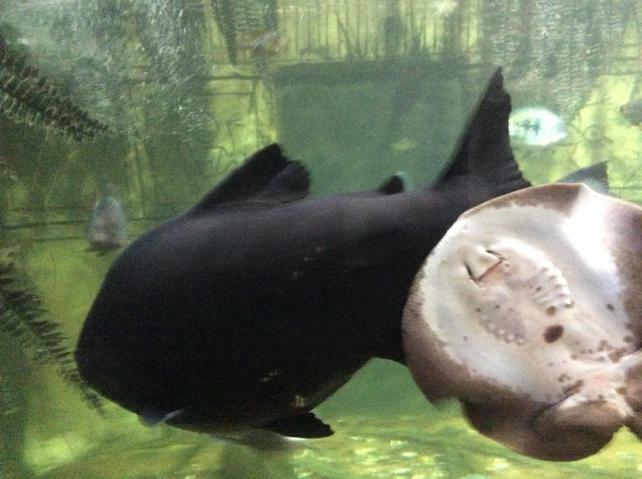 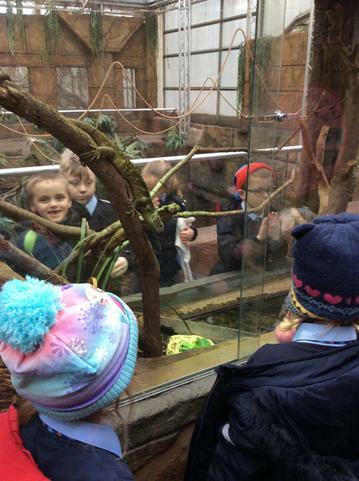 Class 2 went on a brilliant trip to Tropical World this Thursday to gain more knowledge on animals, particularly, ones which bounce! 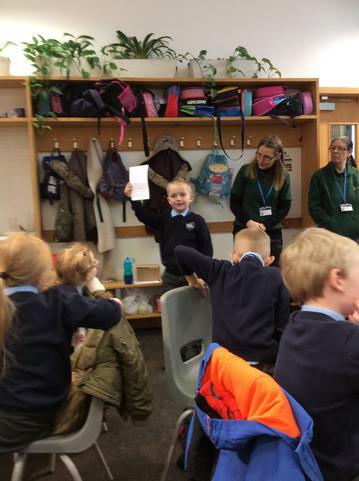 Everyone in our class displayed an outstanding attitude to learning and wonderful behaviour, I was so happy that even the staff members at Tropical World noticed their efforts. 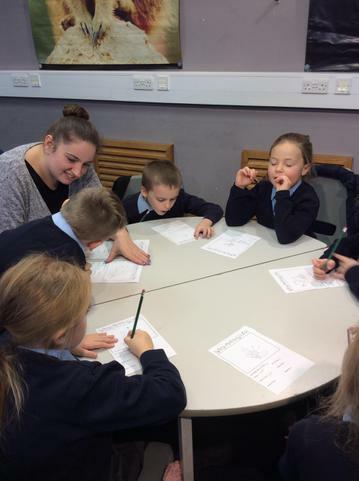 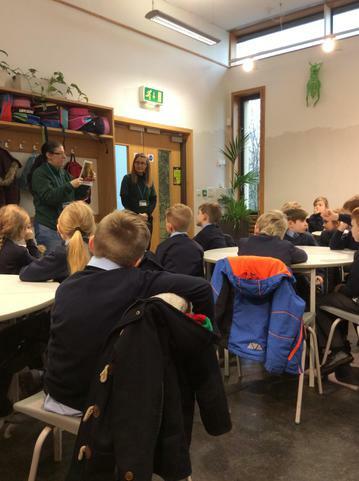 We attended a Habitats workshop where we learnt all about the different homes of animals and how they adapt to suit these surroundings. 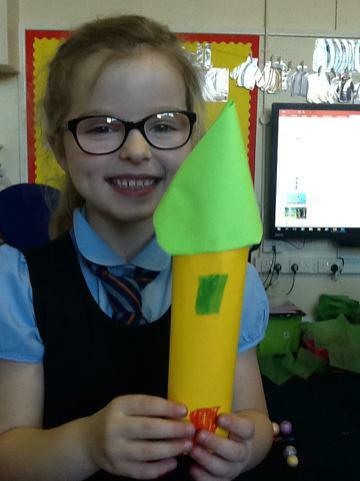 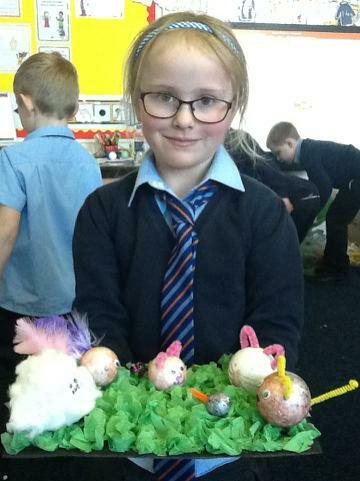 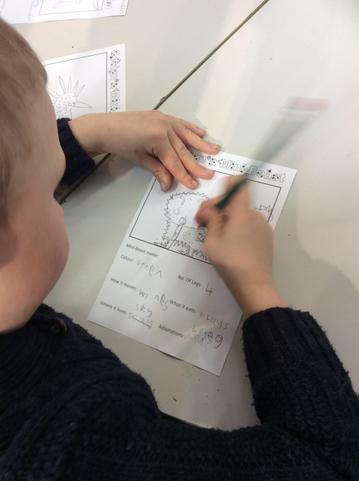 We went on to create our very own animals and we explained where they would live, what colour they are, what they eat and lots of other details. 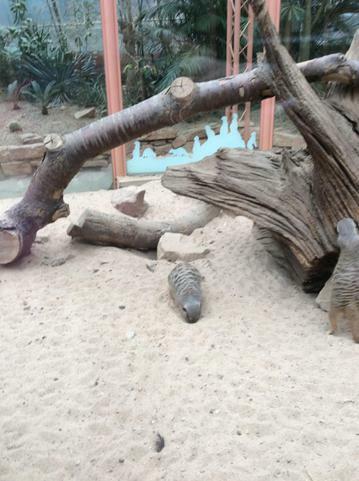 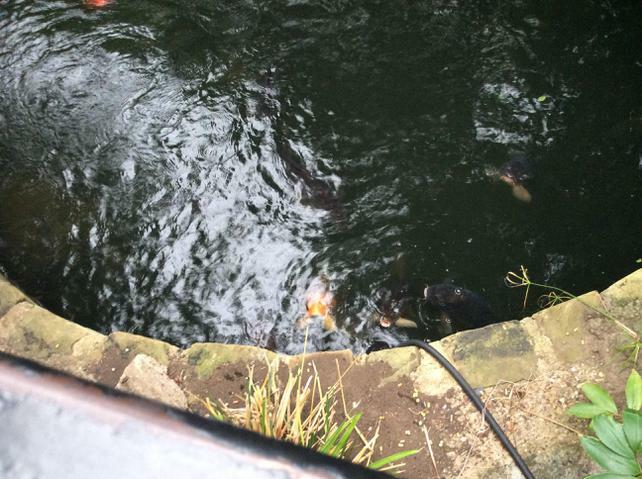 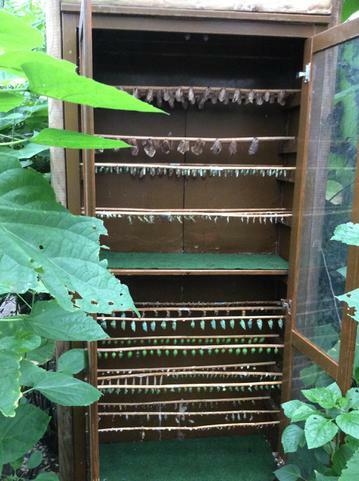 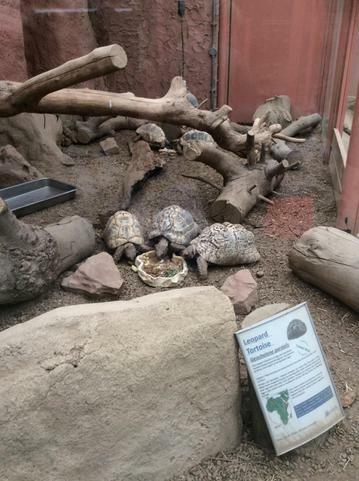 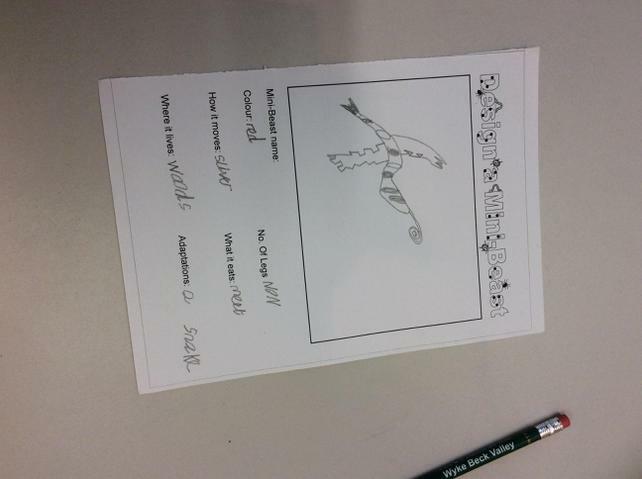 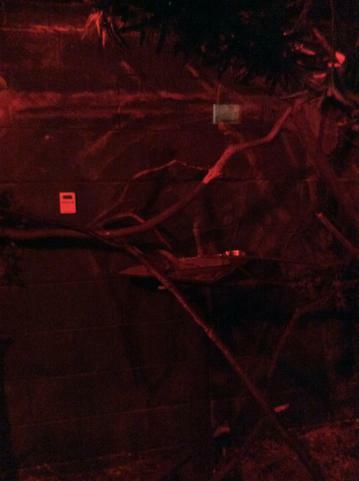 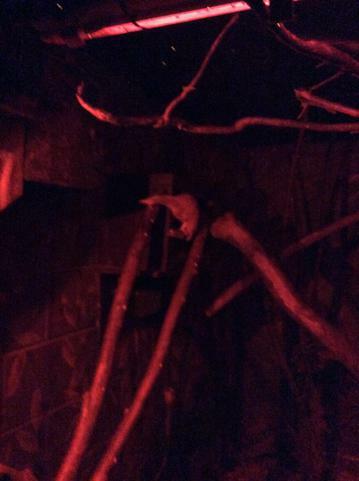 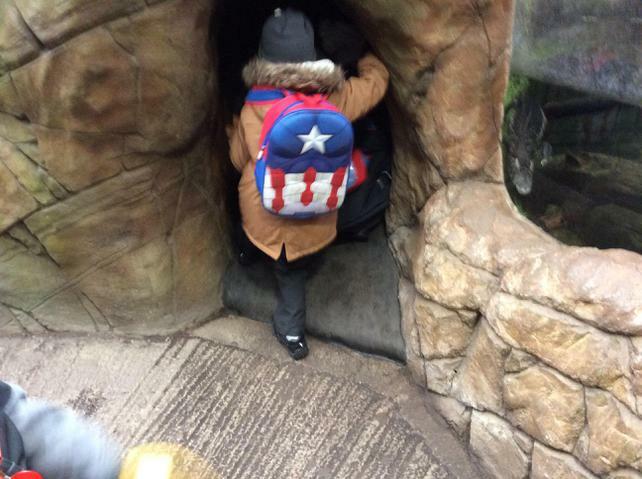 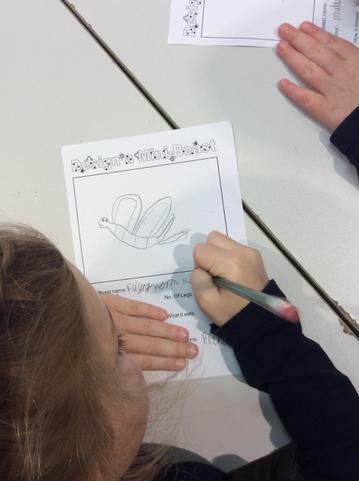 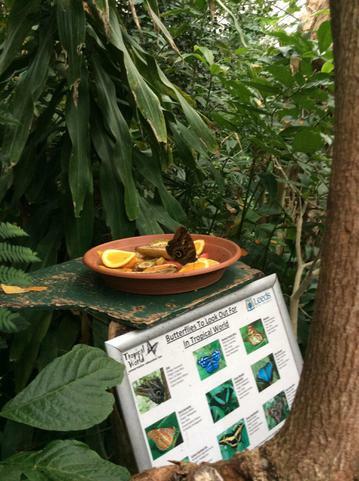 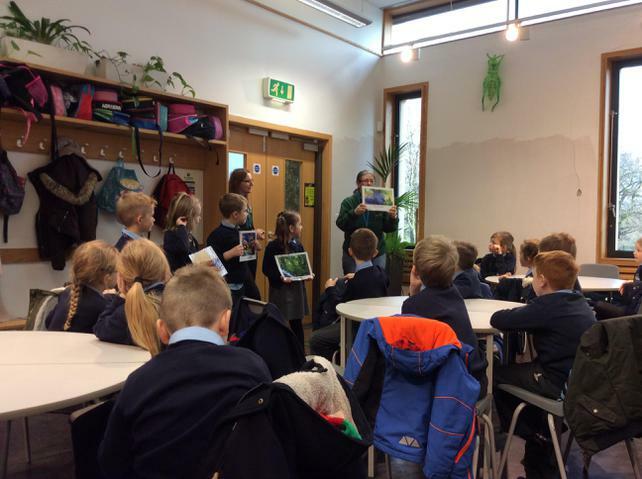 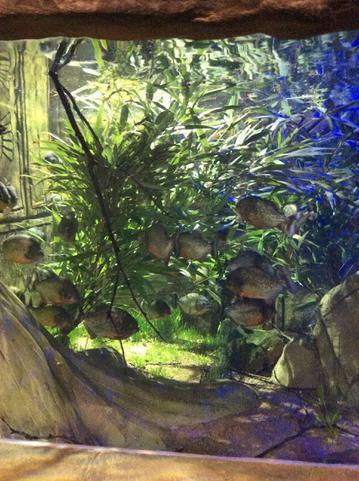 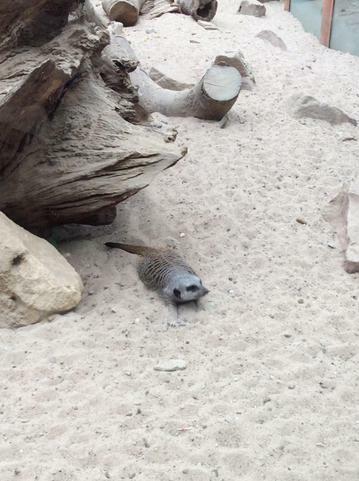 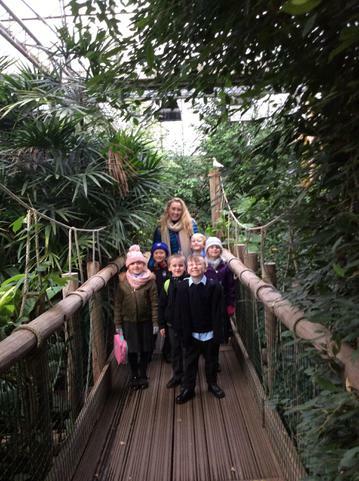 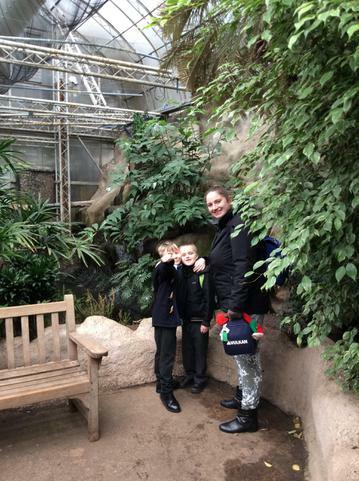 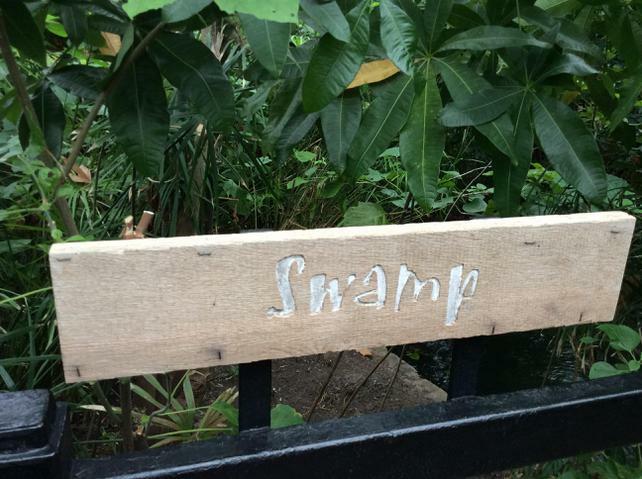 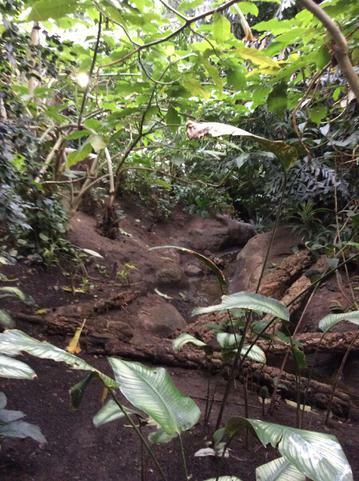 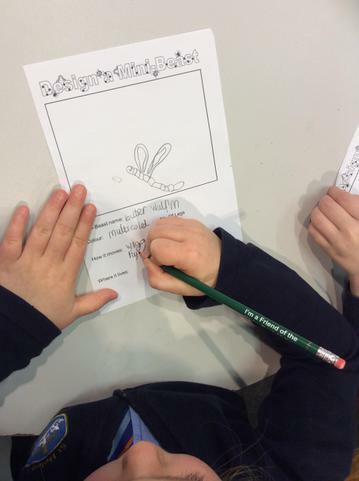 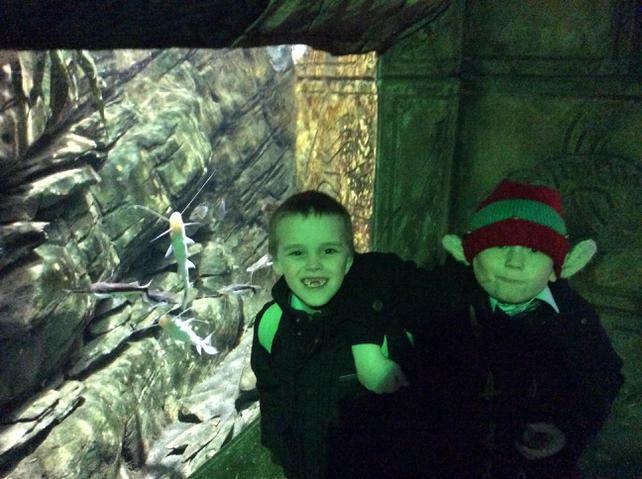 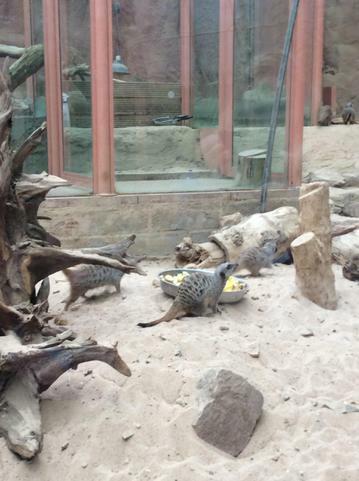 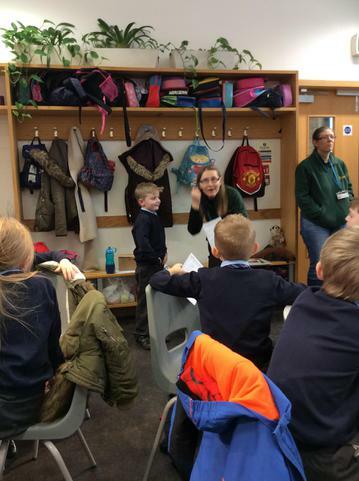 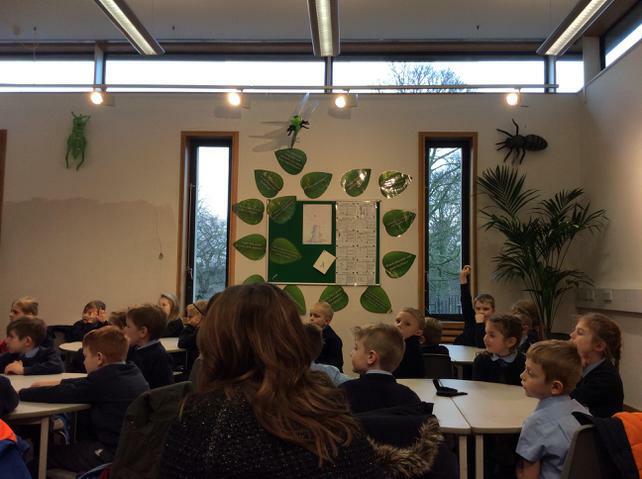 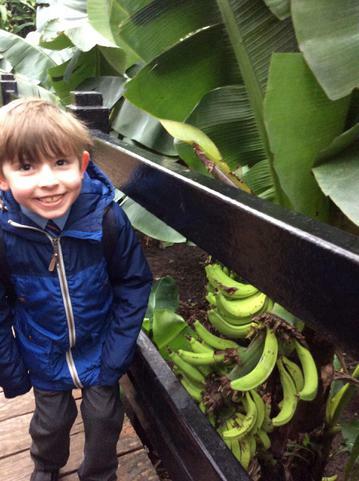 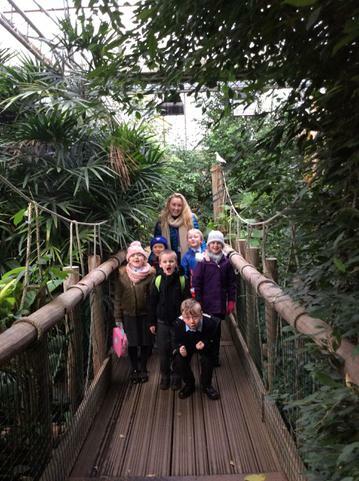 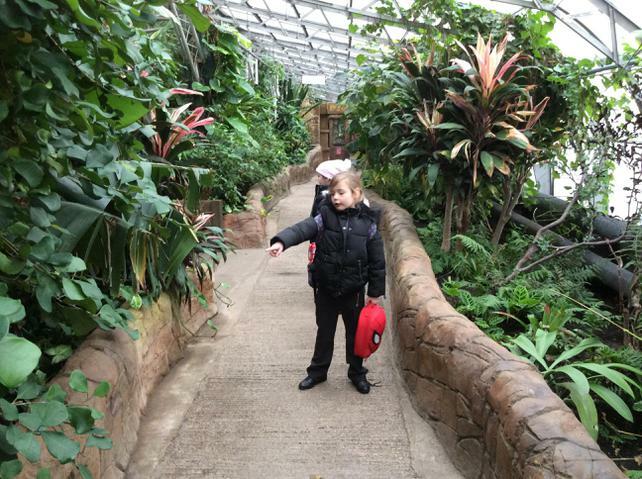 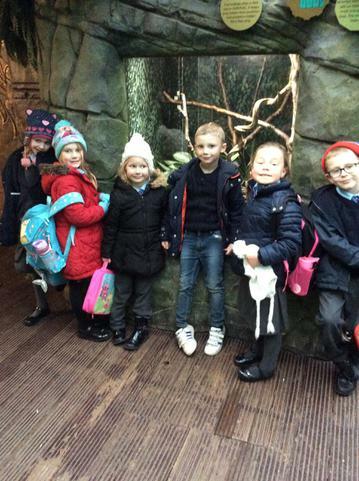 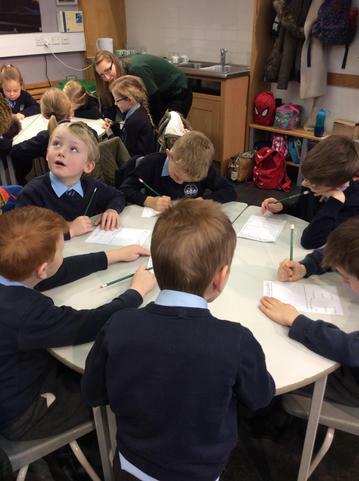 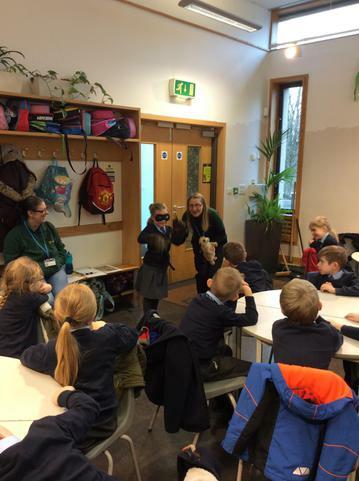 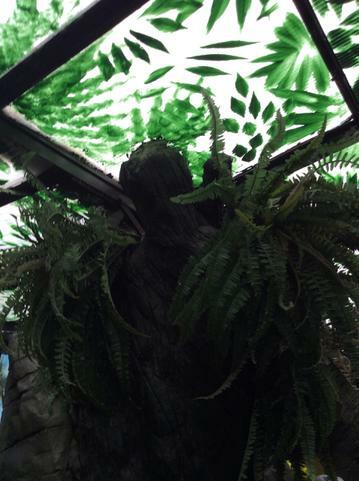 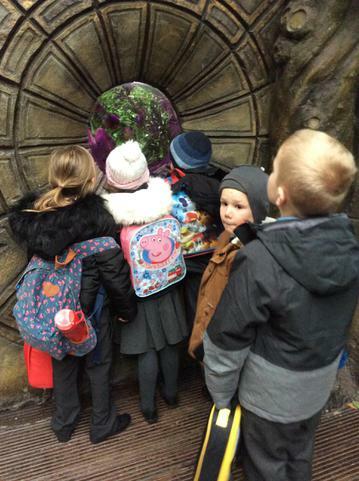 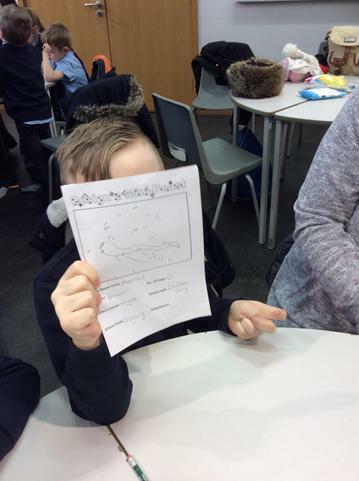 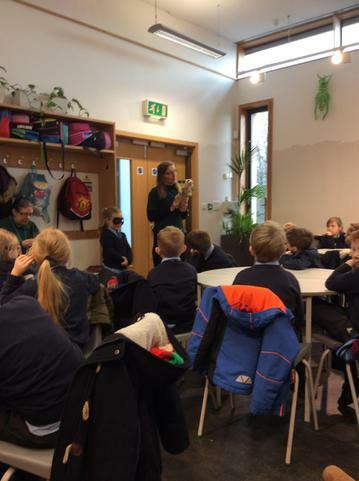 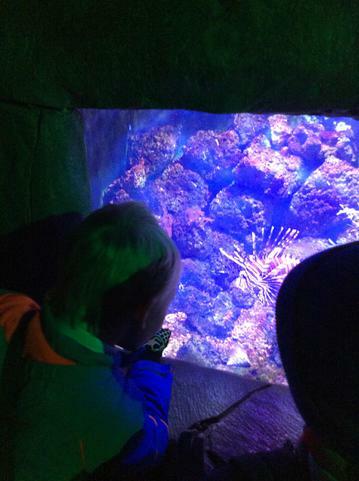 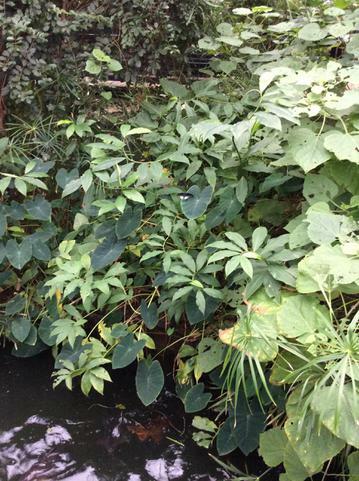 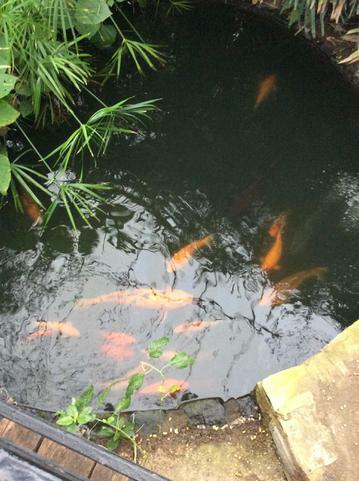 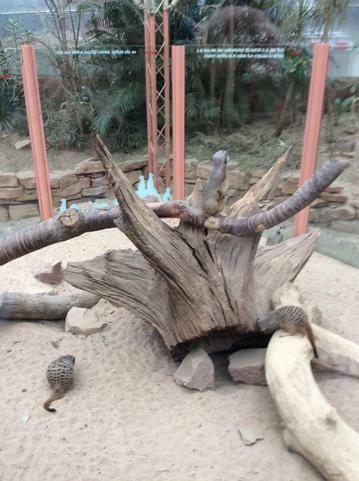 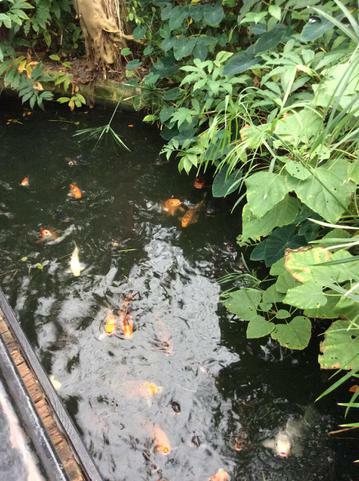 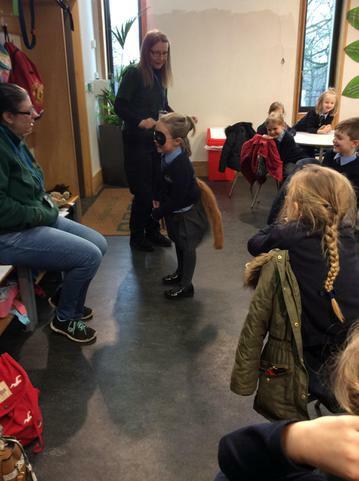 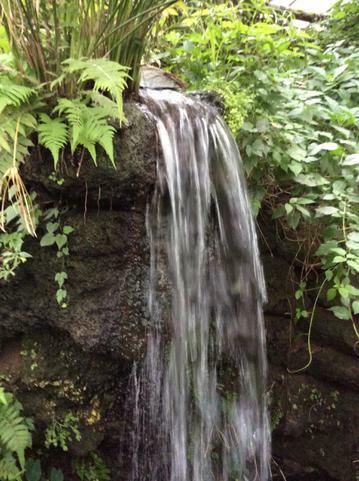 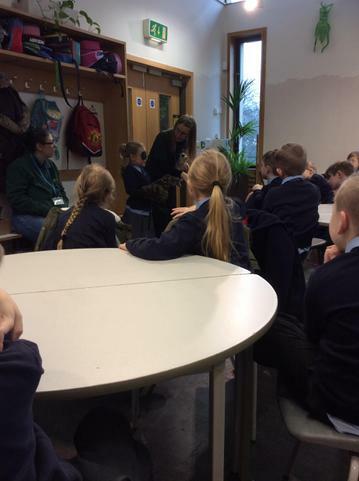 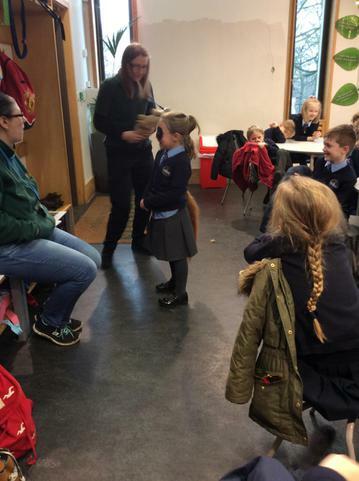 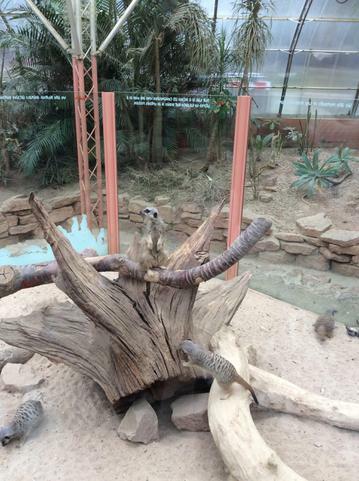 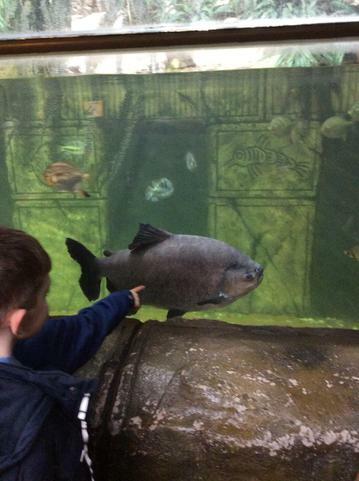 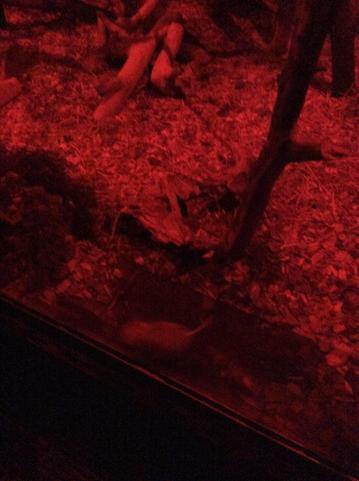 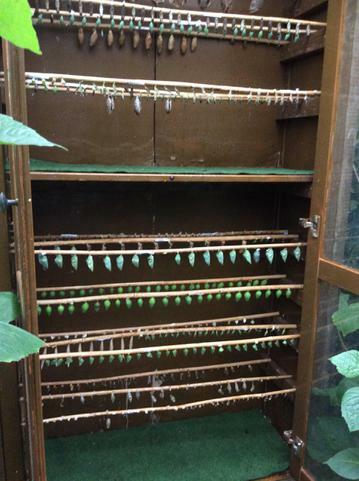 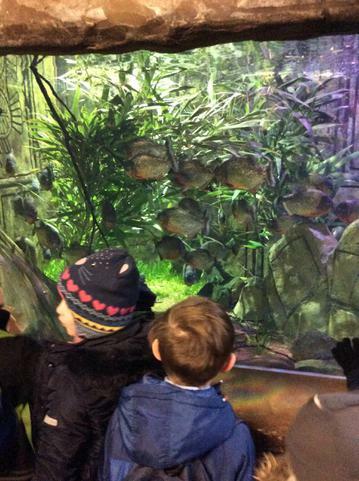 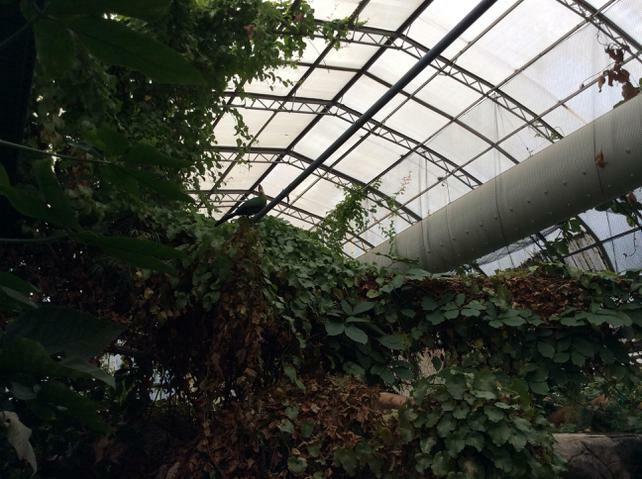 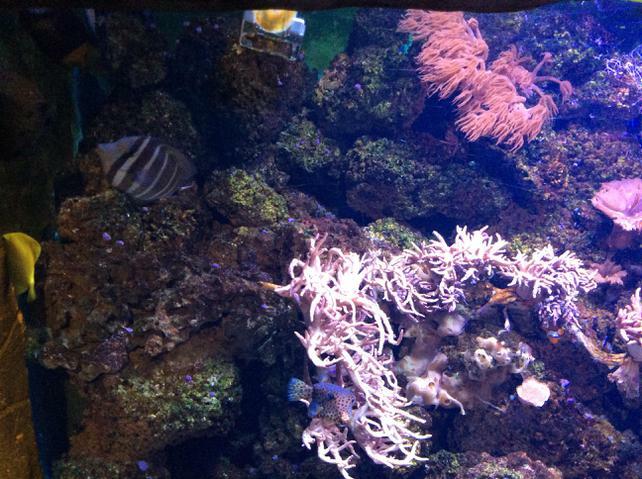 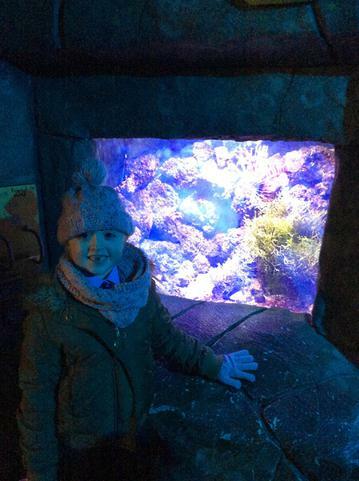 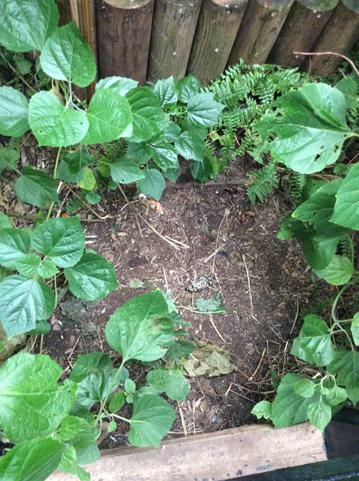 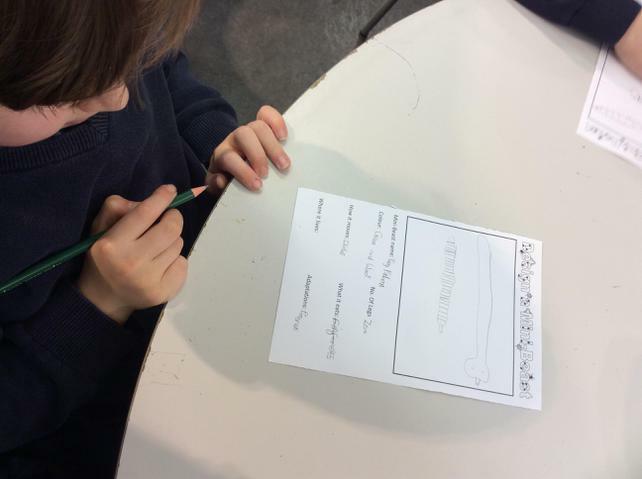 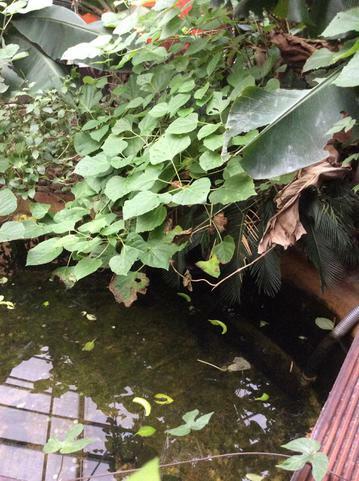 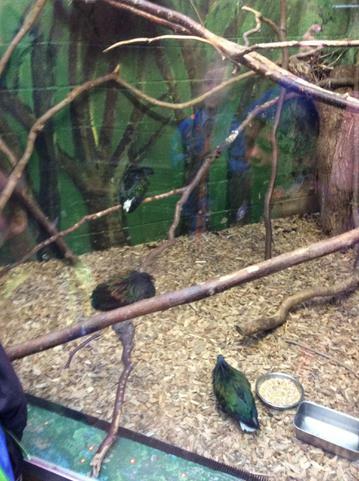 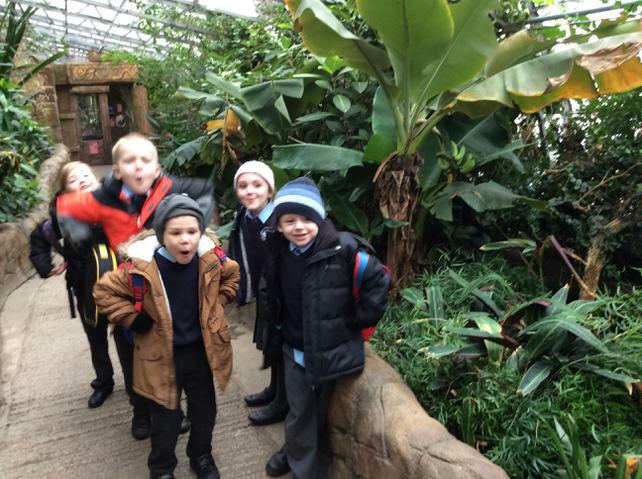 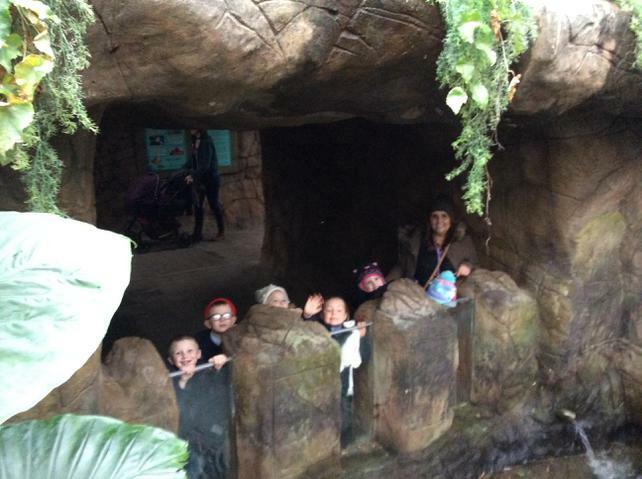 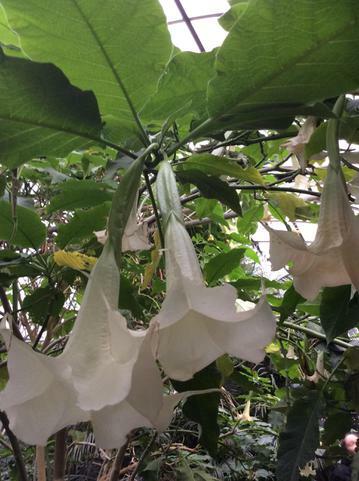 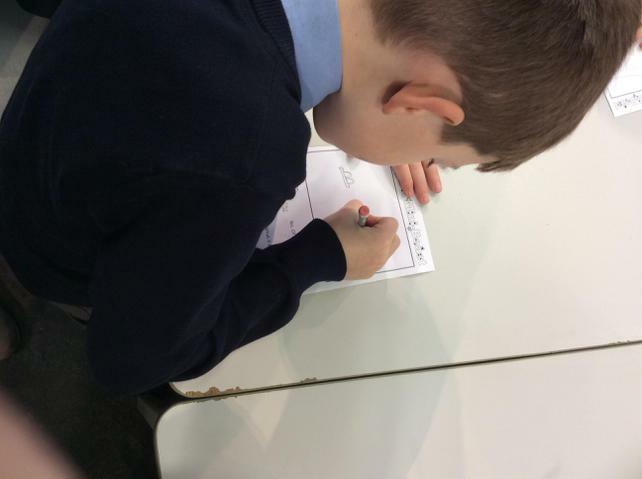 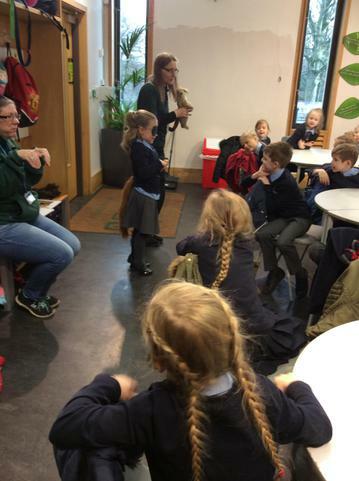 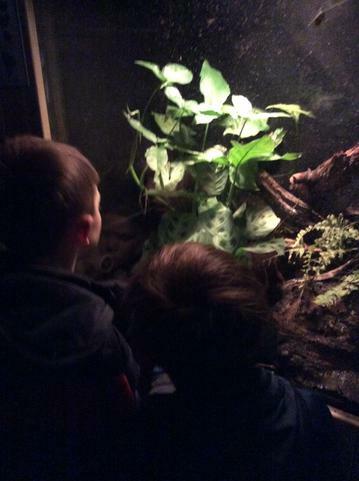 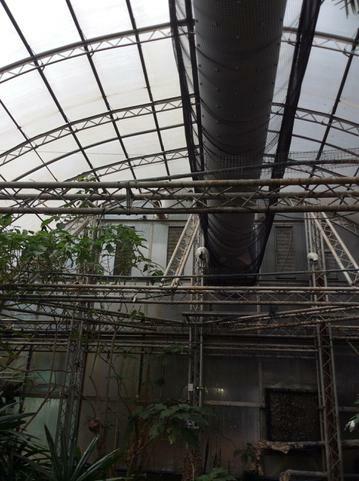 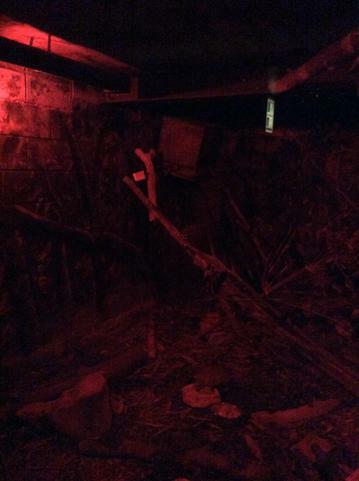 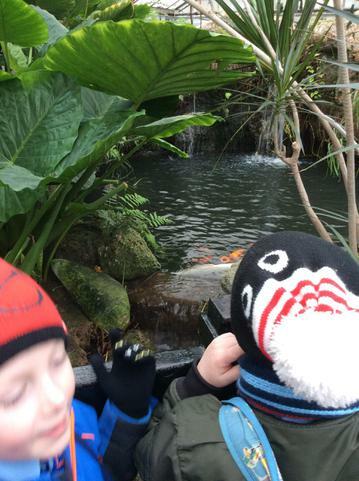 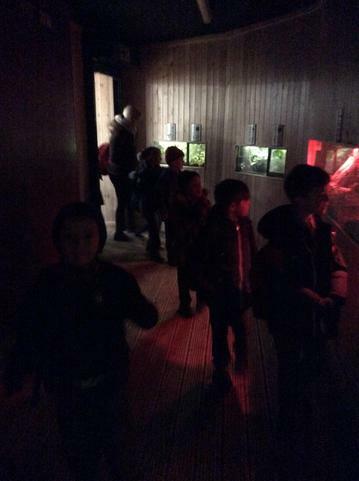 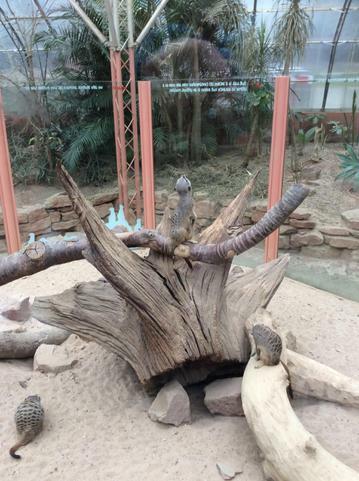 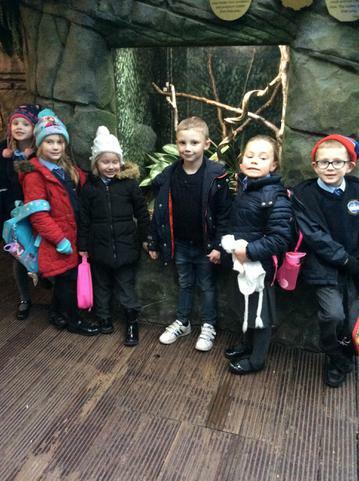 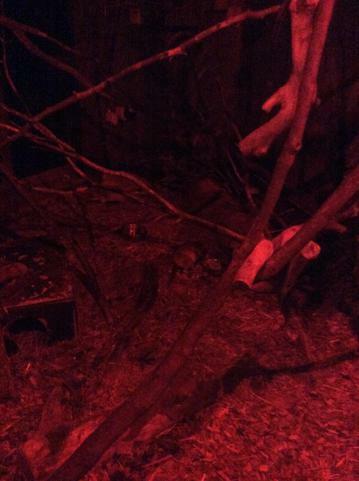 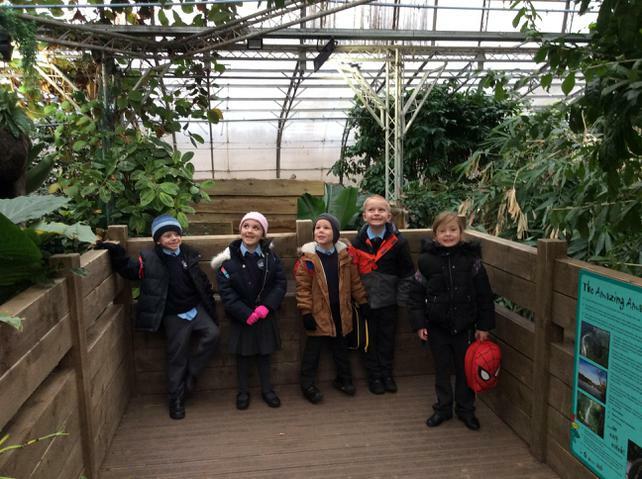 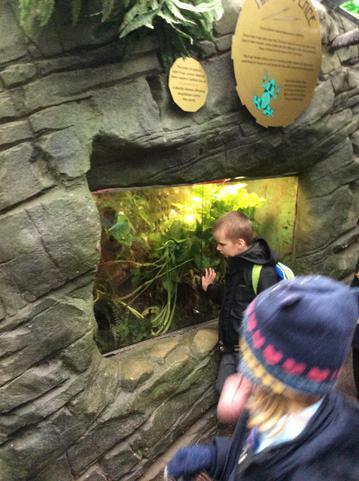 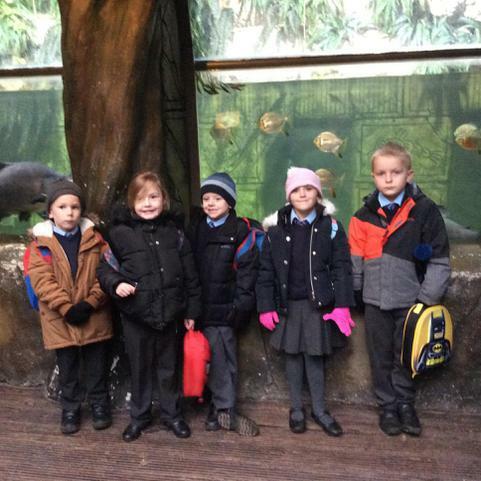 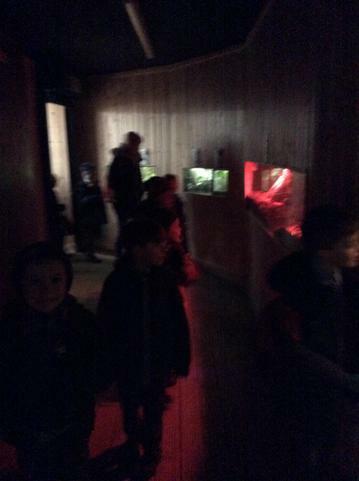 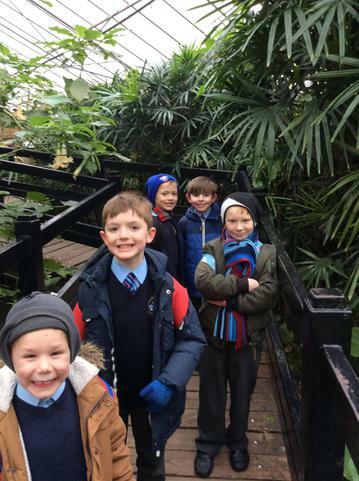 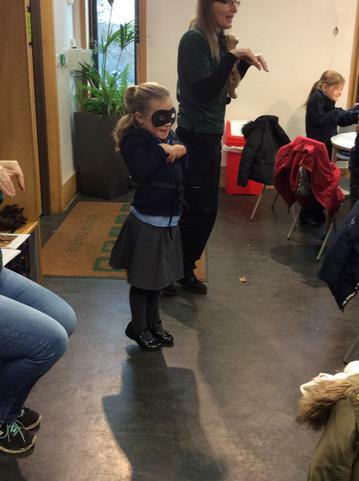 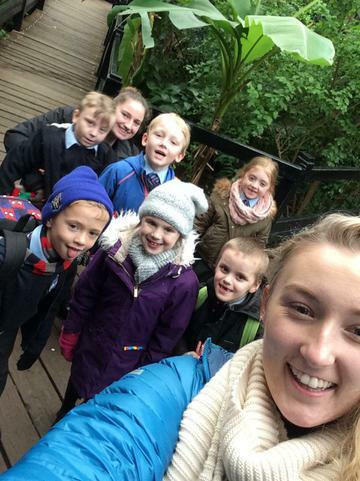 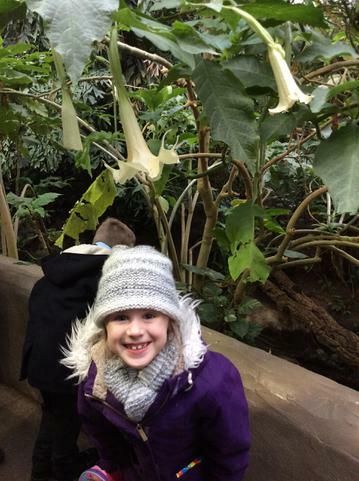 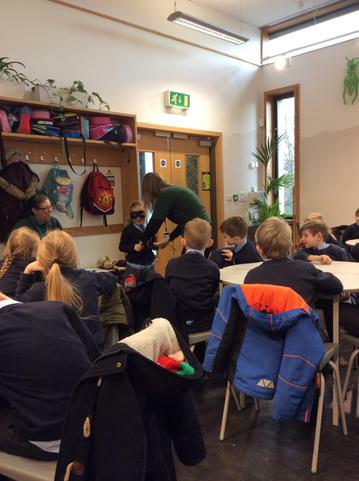 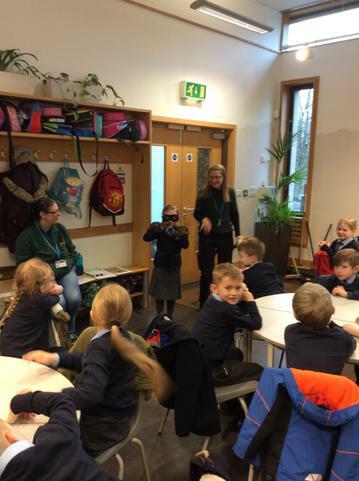 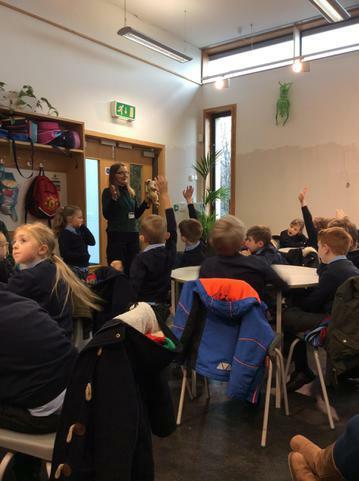 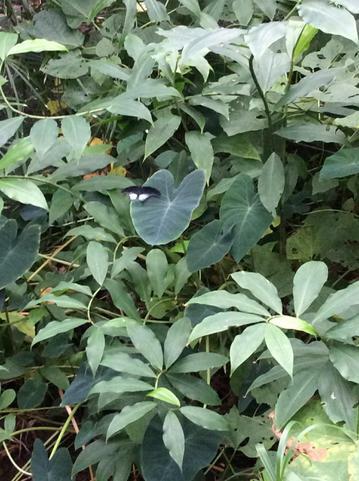 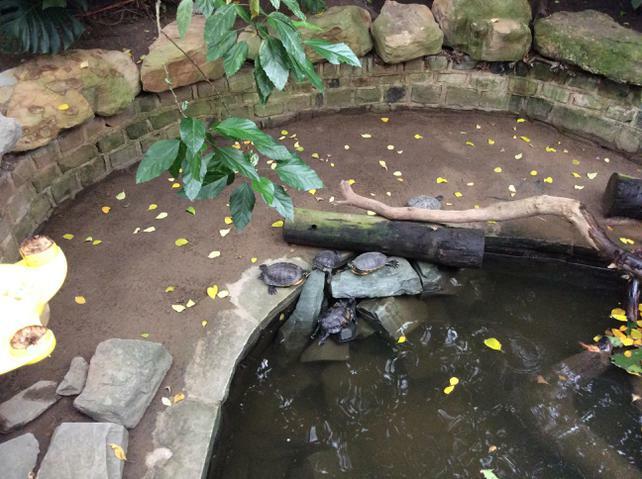 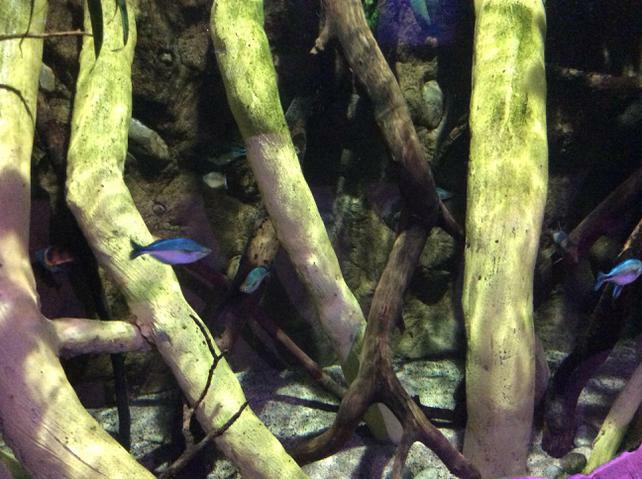 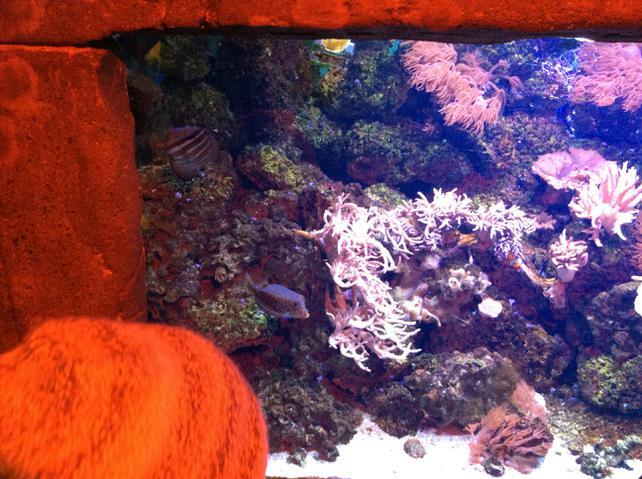 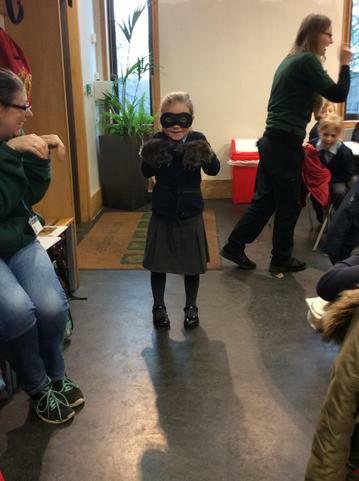 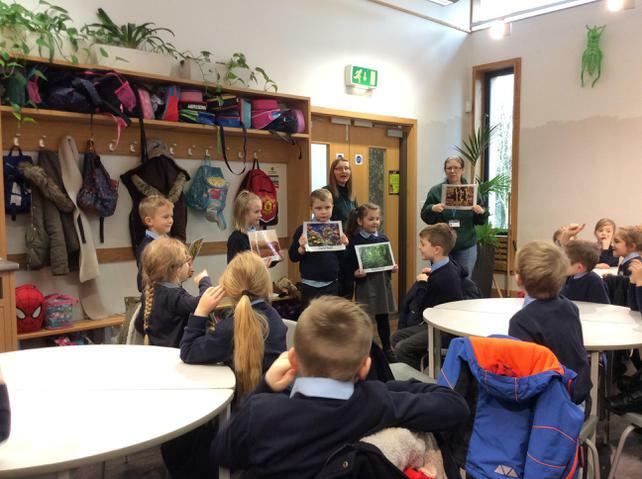 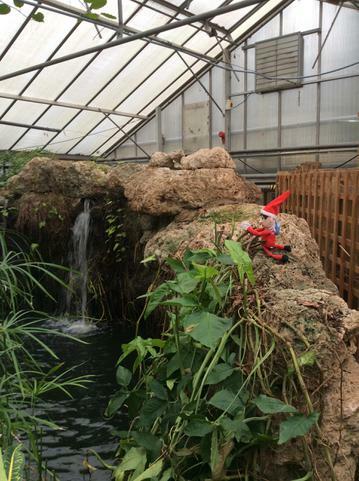 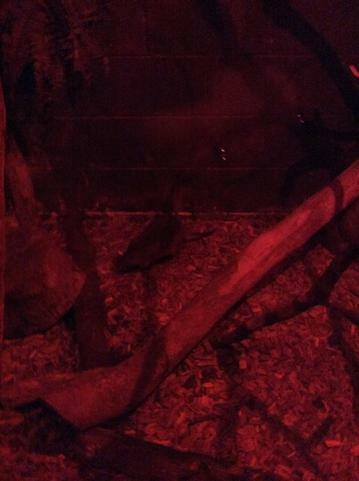 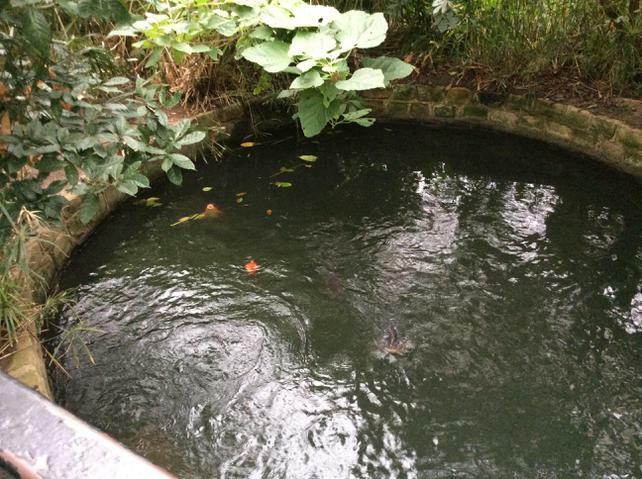 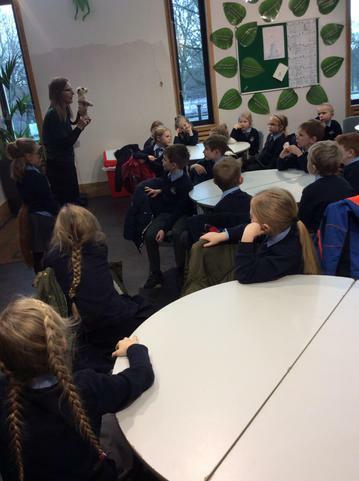 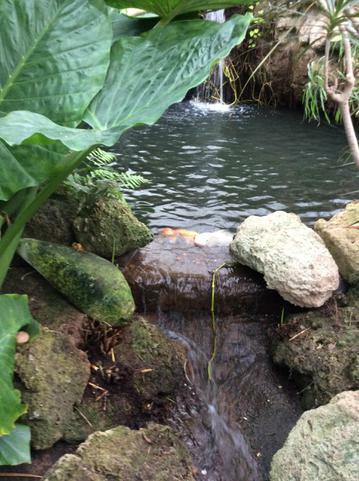 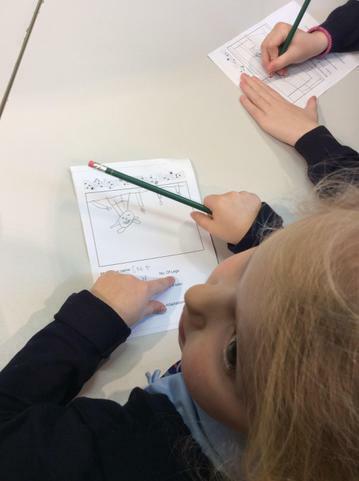 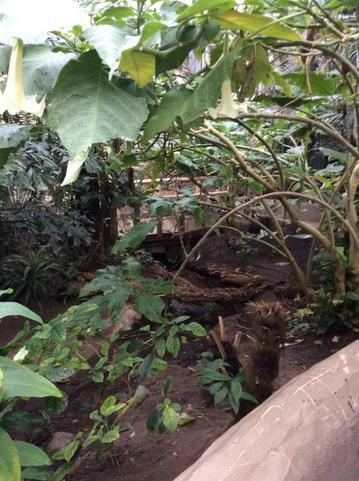 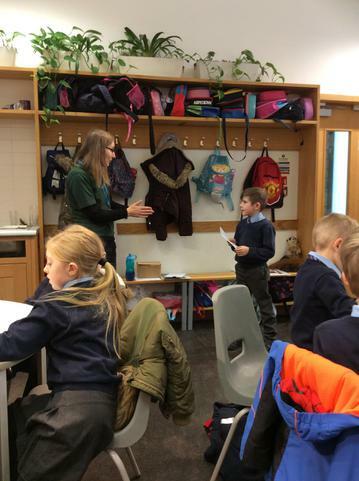 Class 2 then went on to explore Tropical World and the different habitats within it where we saw butterflies, crocodiles, meerkats, exotic birds and many other animals. 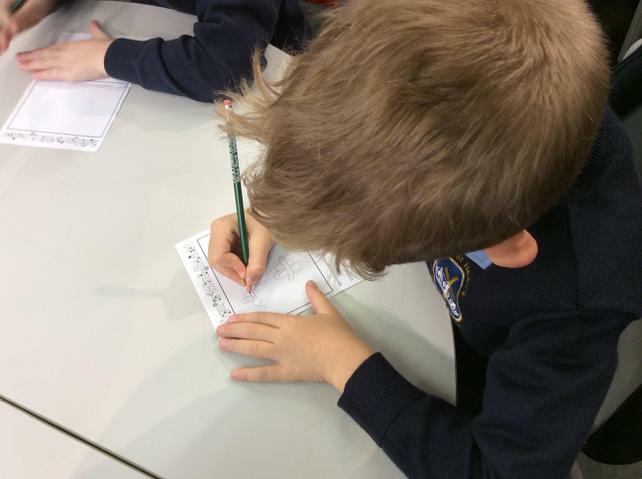 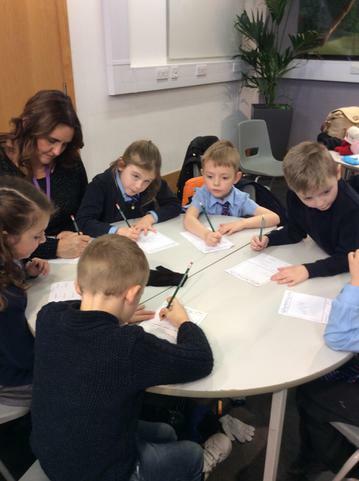 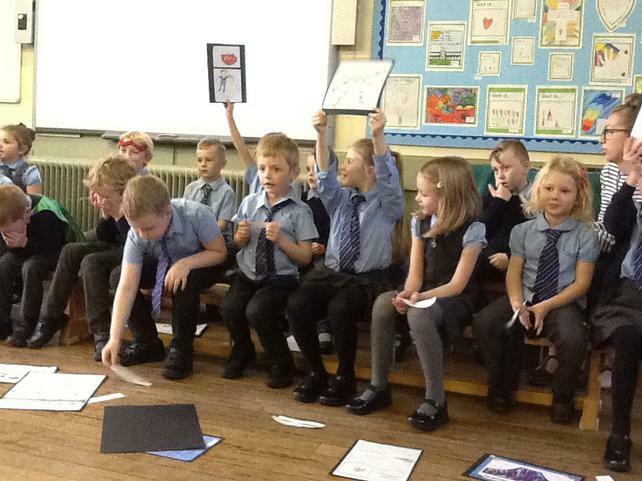 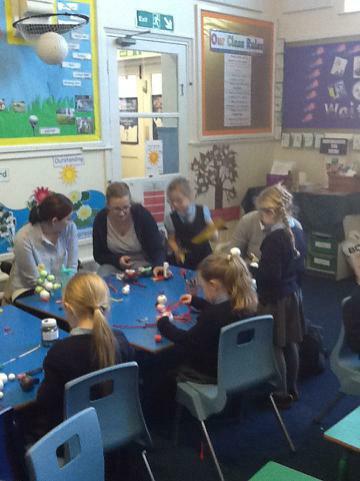 Everyone was so engrossed in their learning and it was a wonderful day! 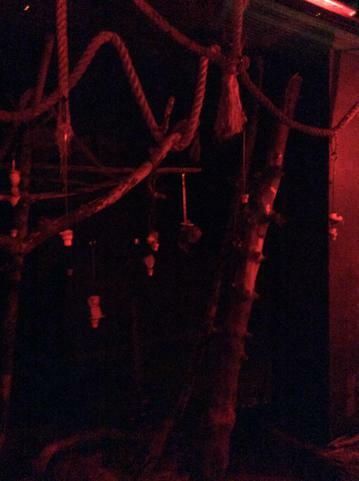 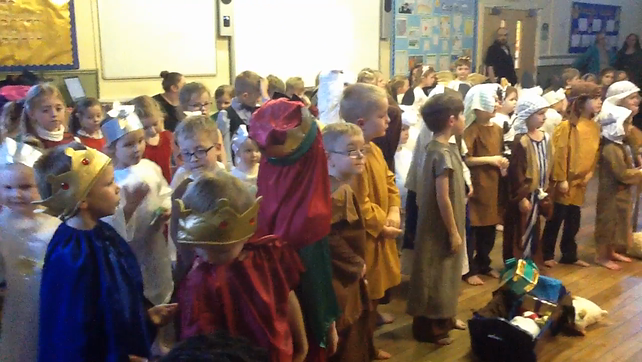 This week, we have started preparing for the coming of Jesus at Christmas by celebrating the season of Advent. 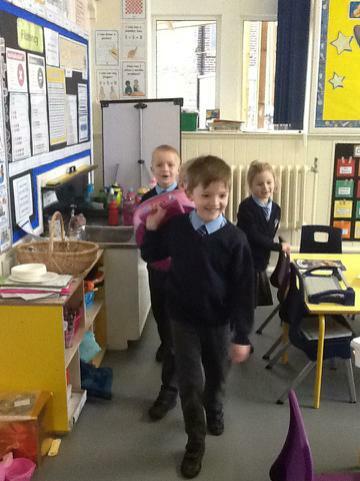 We are going to light the first purple candle on our wreath signifying that the first Sunday of Advent has come and we will sing a song to celebrate the season. 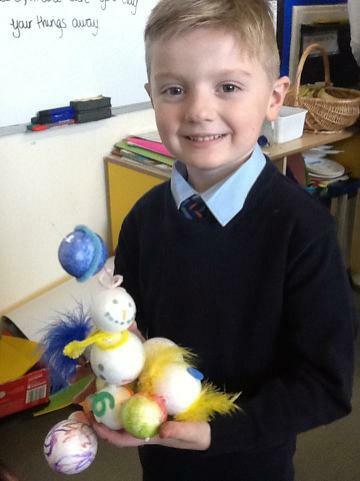 Class 2 will move on to light two candles next week as another Sunday will have passed and we will continue to look forward to celebrating the birth of Christ. 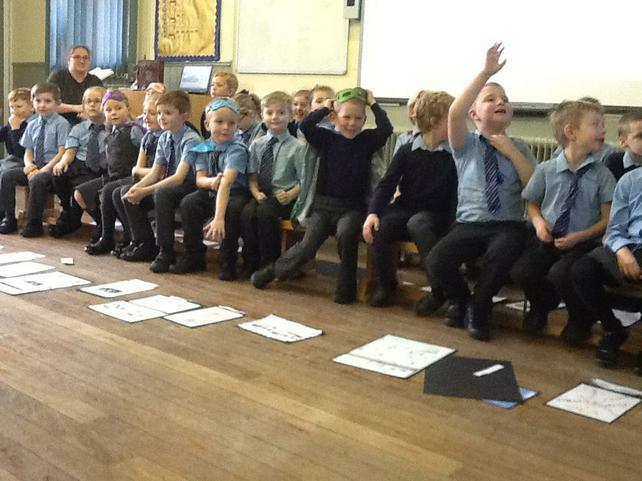 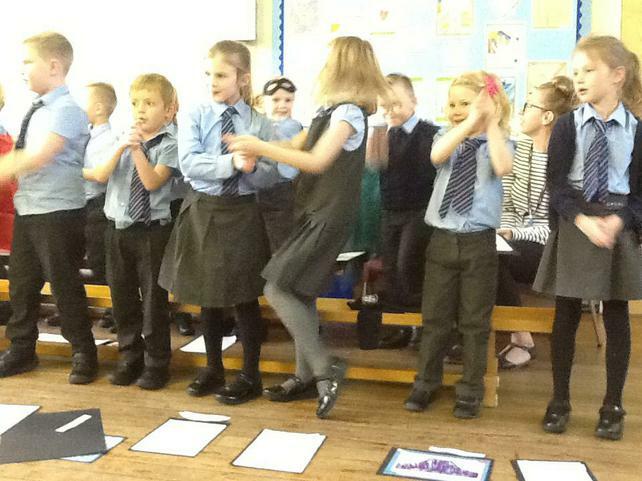 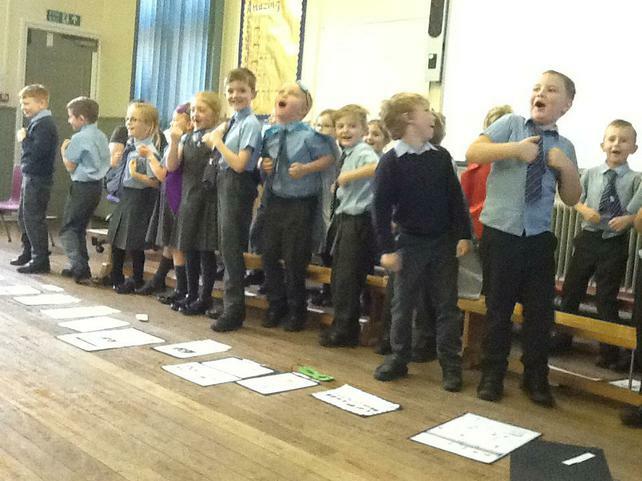 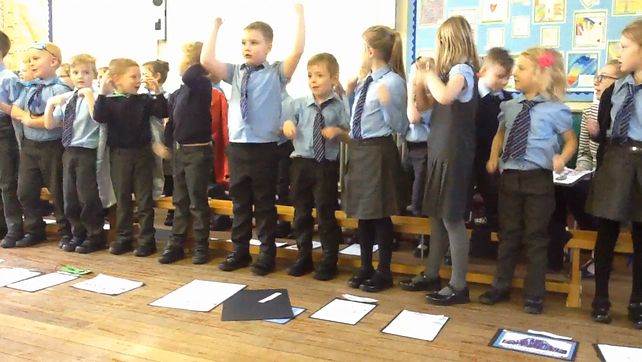 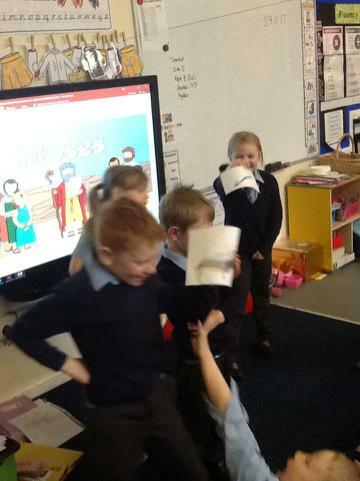 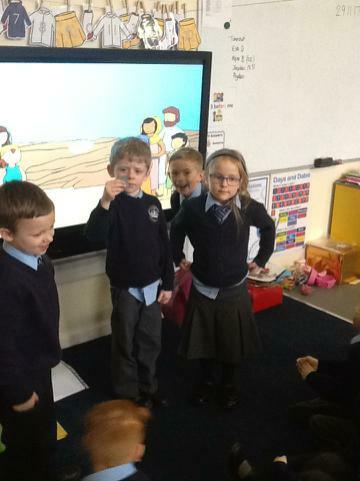 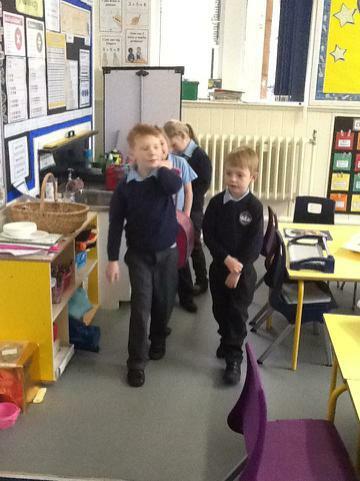 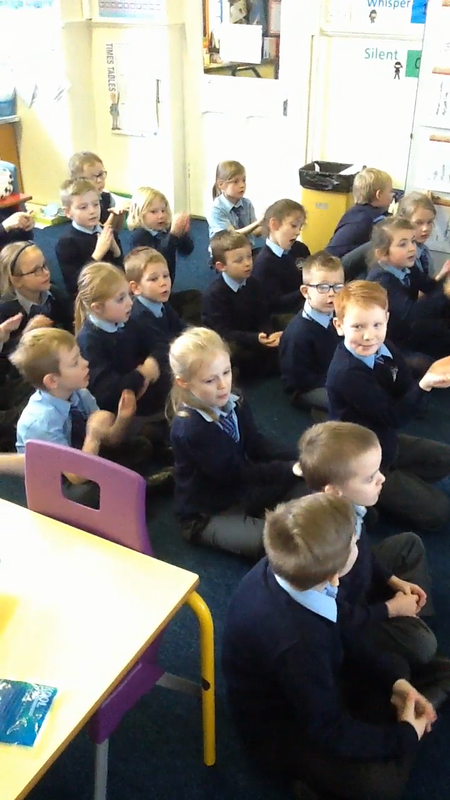 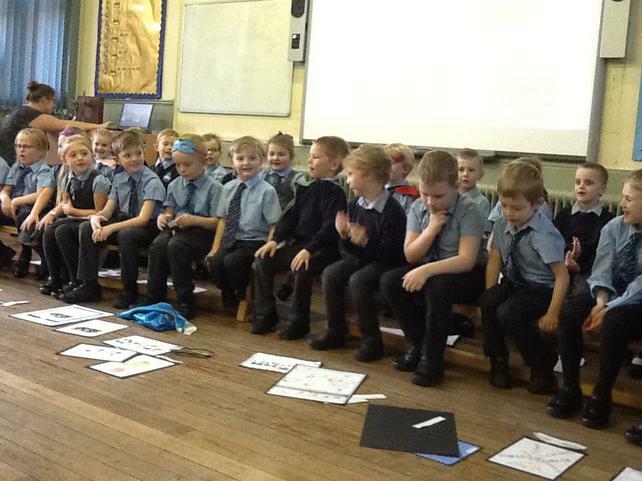 We have, also, had some great singing practice to help us be prepared for our Christmas Nativity, A Miracle in Town! 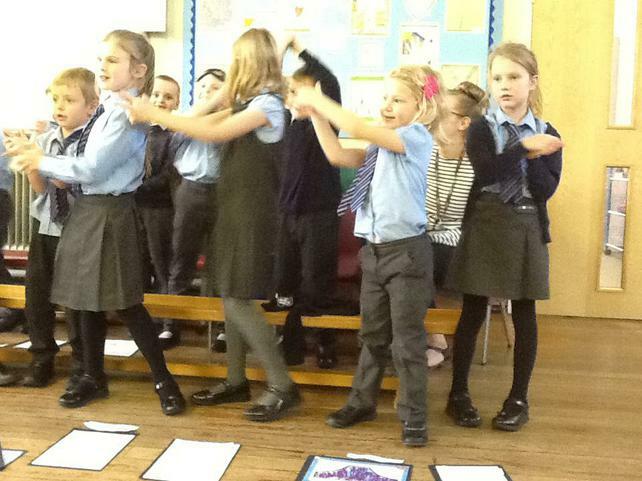 The children are working so hard to make it a production their family and friends will not forget so, please come along to our performance in 2 weeks time. 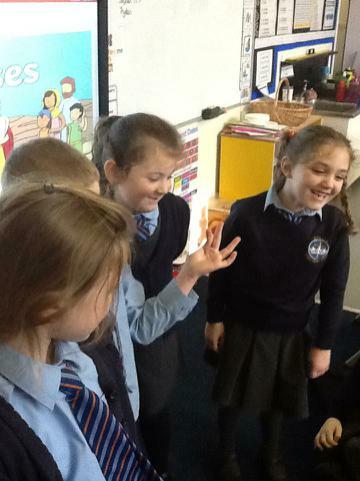 Class 2 have also had a special week as we had our own St Helen's Christingle Service, it was beautiful and the children behaved fantastically. 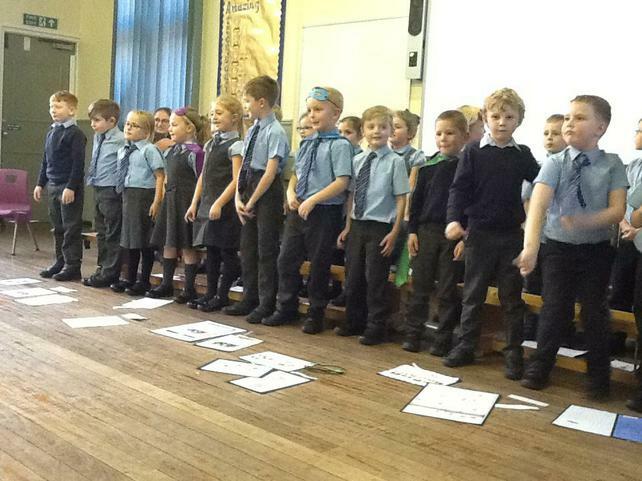 Well done to everyone and thank you to the parents that came to celebrate with us. 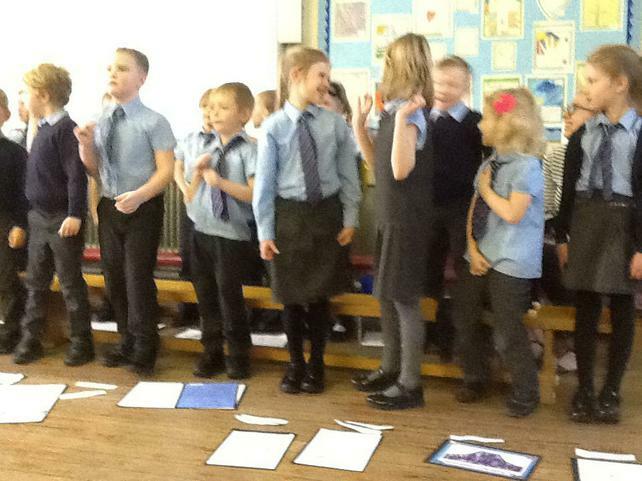 Singing Practice for our Nativity: A Miracle In Town! 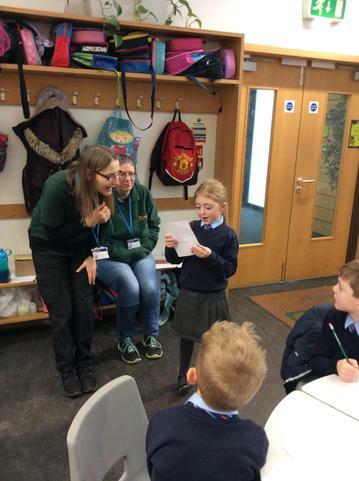 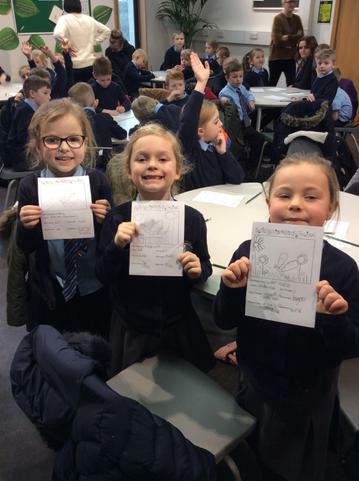 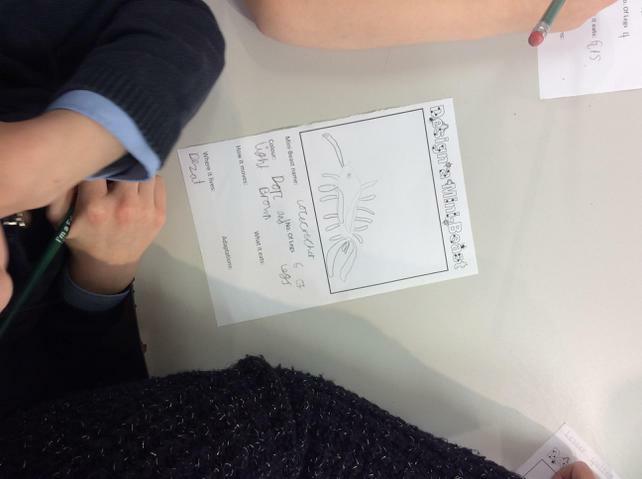 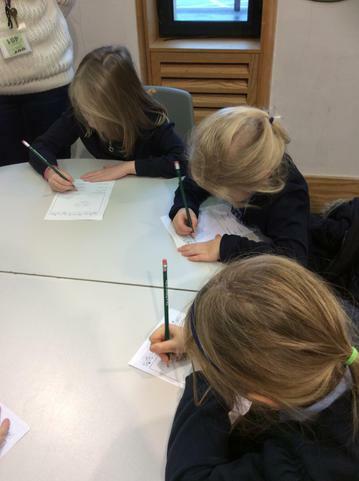 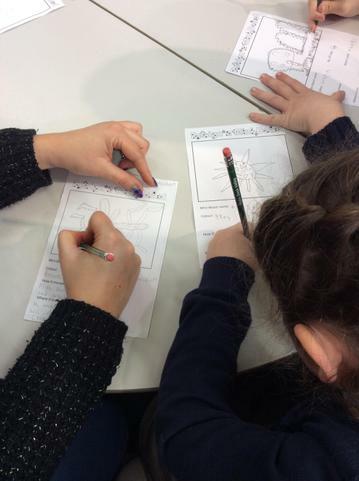 This week, as a school we looked at the Jewish faith as part of an Other Faiths Week at St Helen's School, developing our knowledge and respect for others. 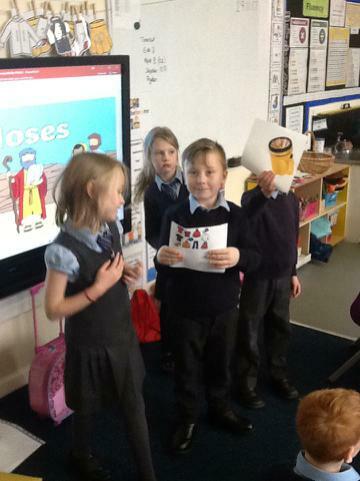 On Wednesday, we listened to the story of Moses when he went to Pharaoh and with God’s help and great courage he asked him to let the Jewish people go, Pharaoh refused, Moses went back to him a few more times, eventually Pharaoh said yes, but Moses thought he might change his mind. 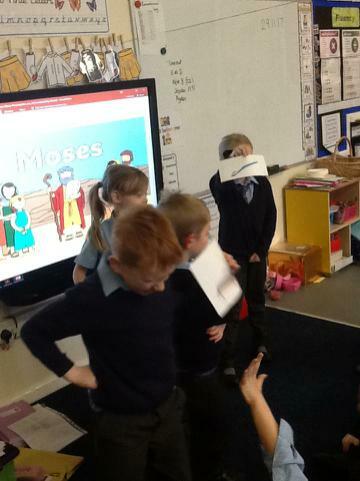 So at night the Jews had one last special meal then gathered up their belongings and left quickly and quietly with Moses leading them. 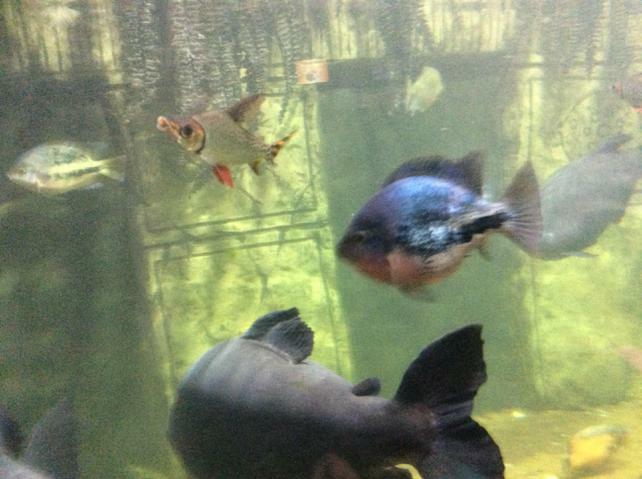 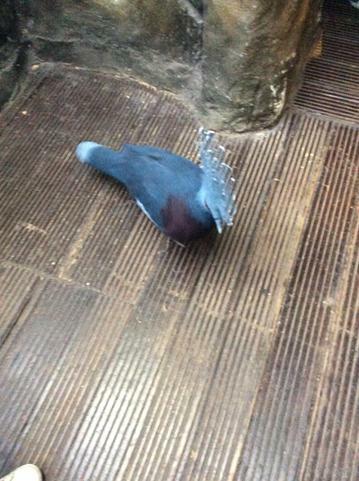 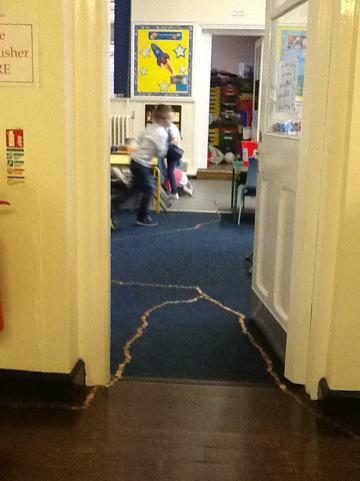 They just escaped the Egyptians who came chasing after them. 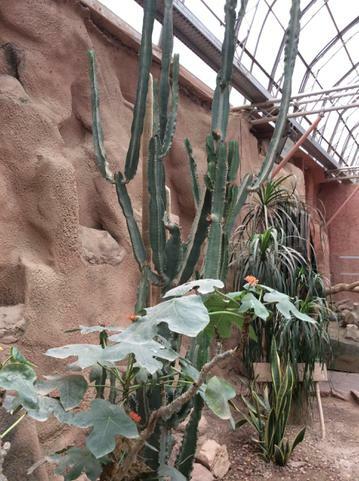 The Jewish people spent 40 years in the desert and had quite a few adventures before they arrived at the land God had promised them. 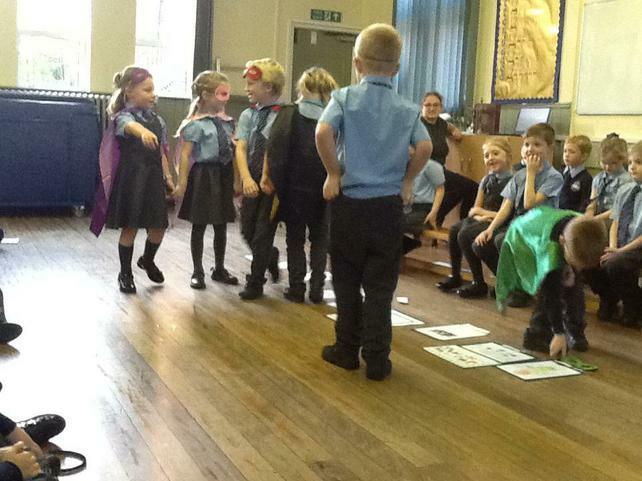 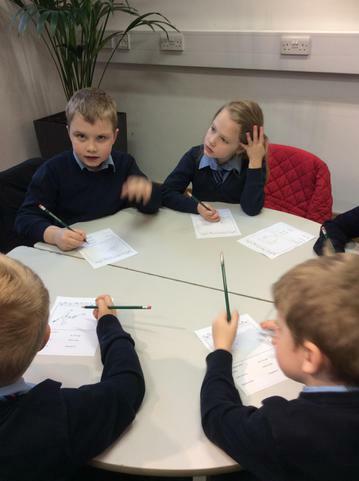 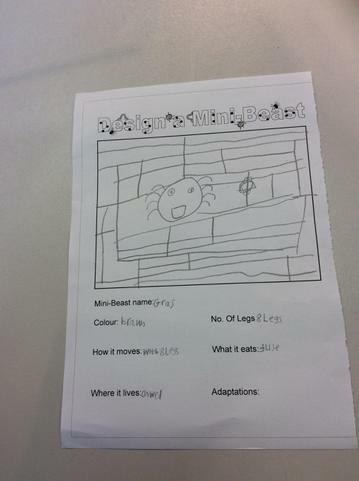 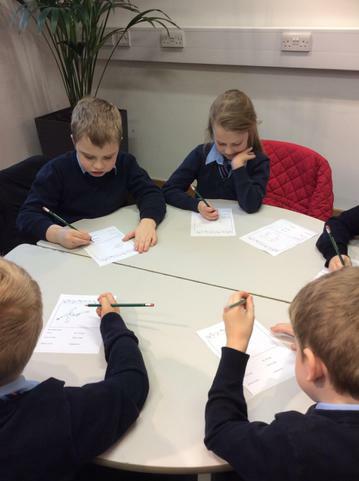 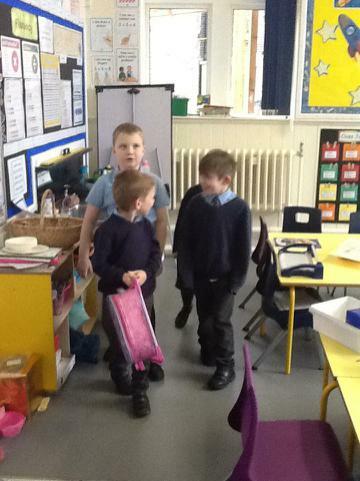 To reflect on this story, we took part in a role-play activity. 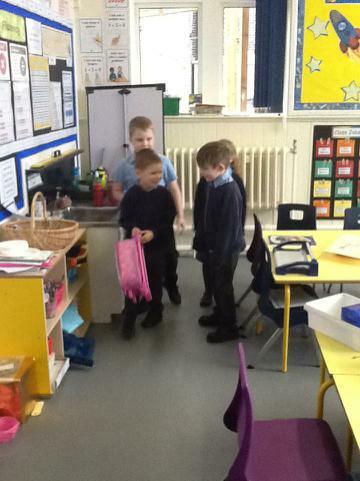 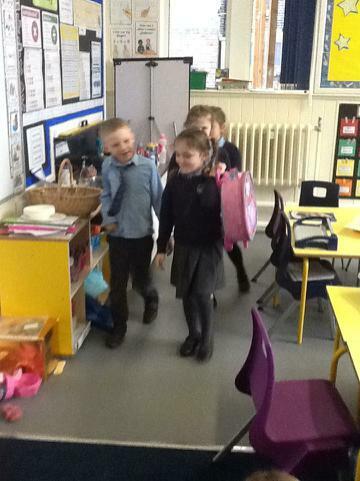 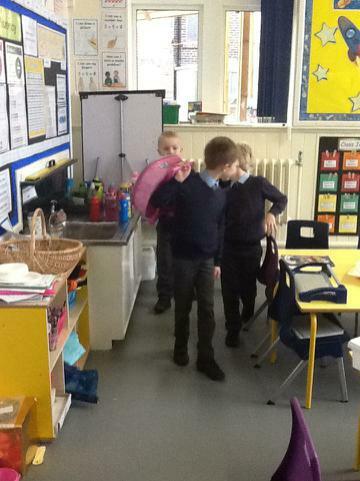 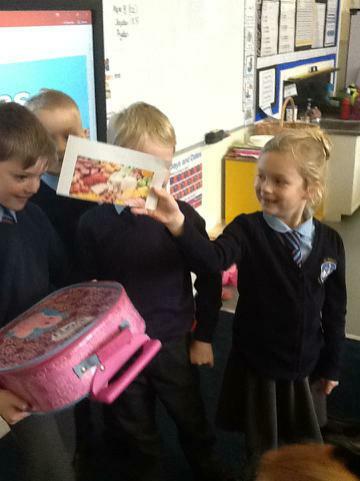 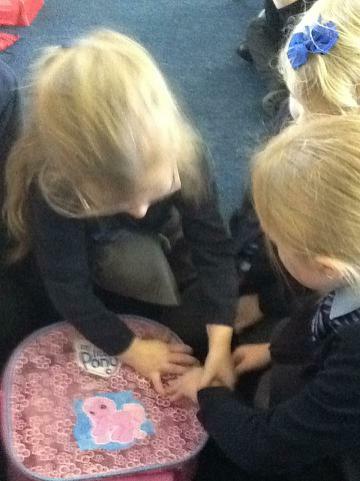 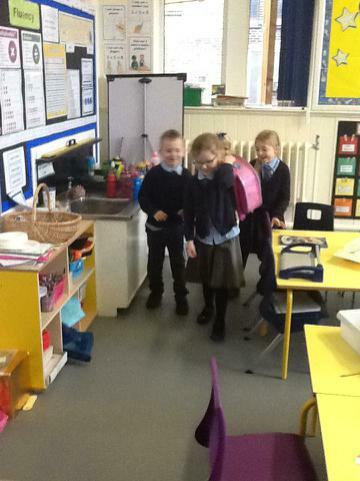 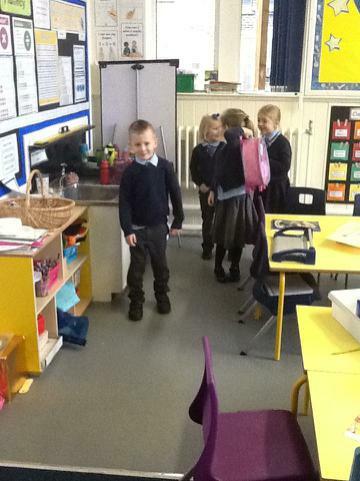 Class 2 were offered a small bag and a set of possessions and they had to choose what they would take on a journey and what they would leave behind. 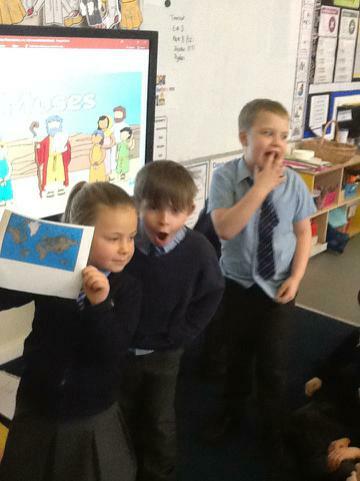 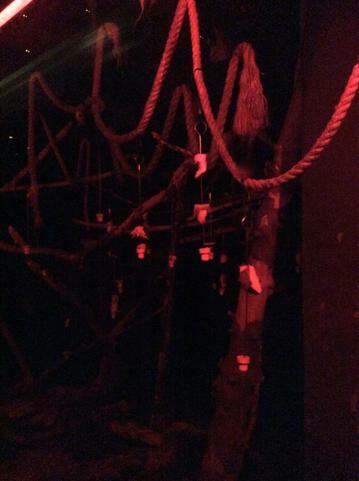 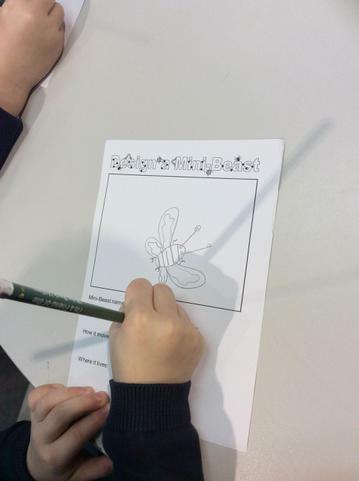 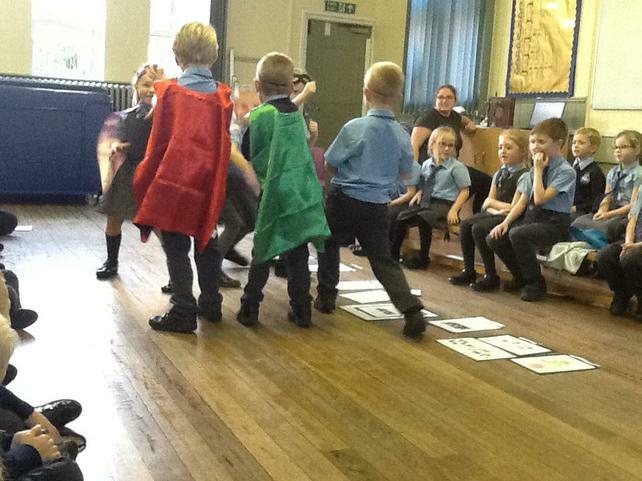 We took part in other activities alongside this one and even learnt a song which taught us a story about Abraham. 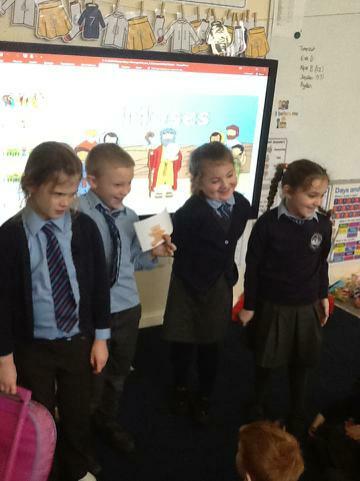 We have had a great week studying Judaism. 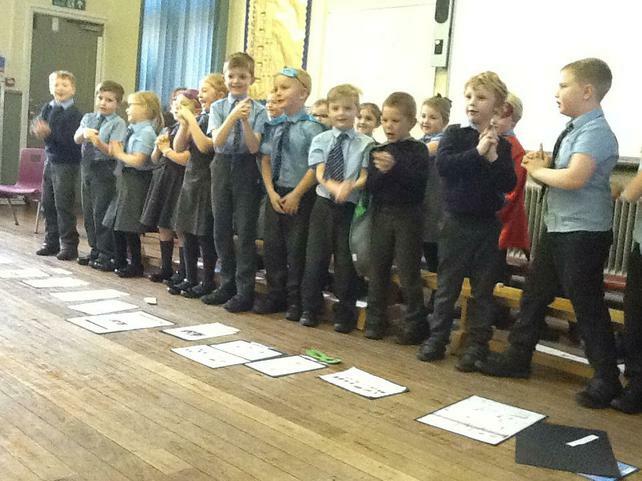 Well done to everyone in Class 2 for working hard and showing a great amount of respect whilst learning! 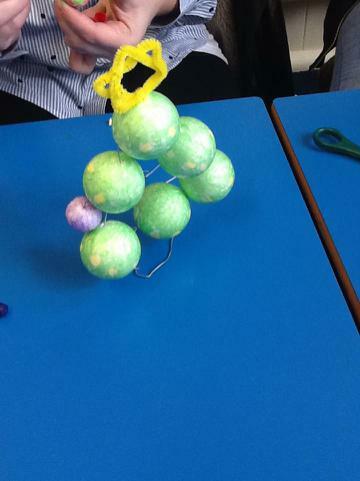 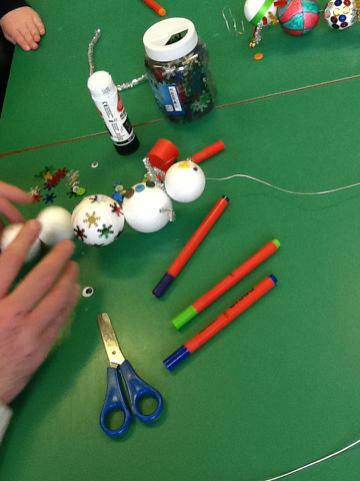 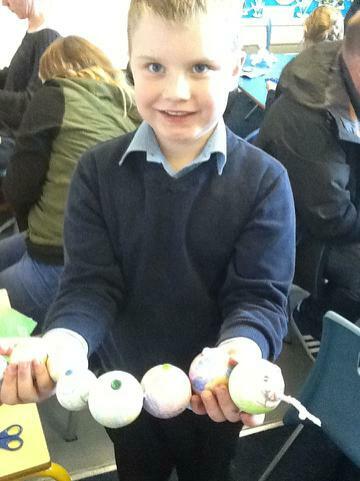 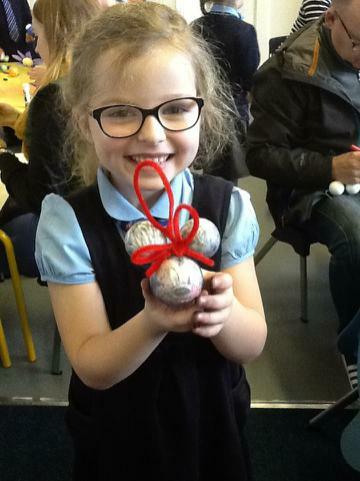 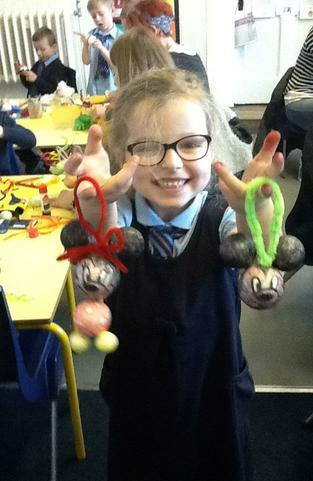 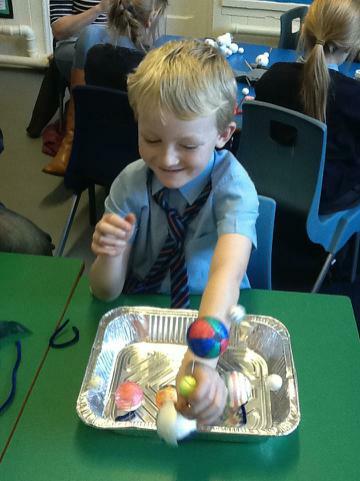 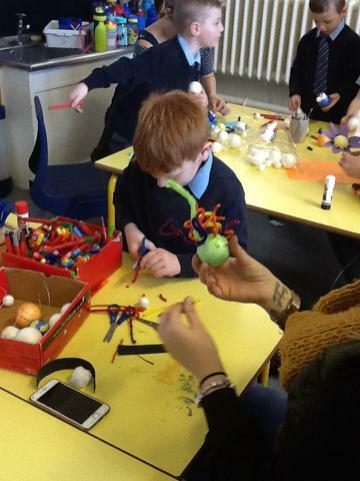 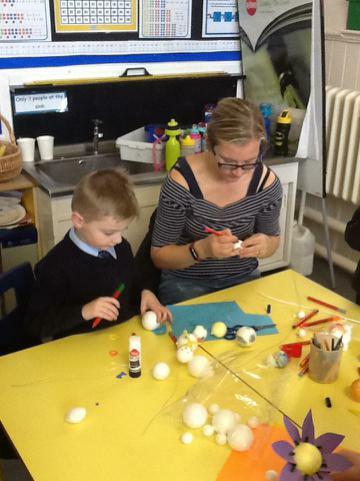 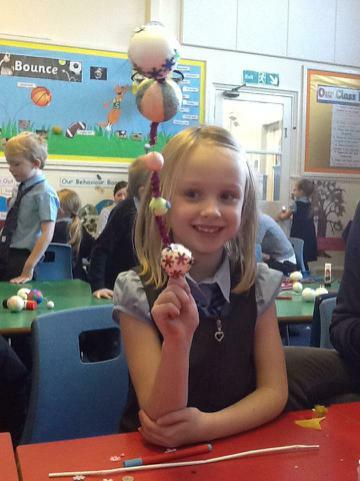 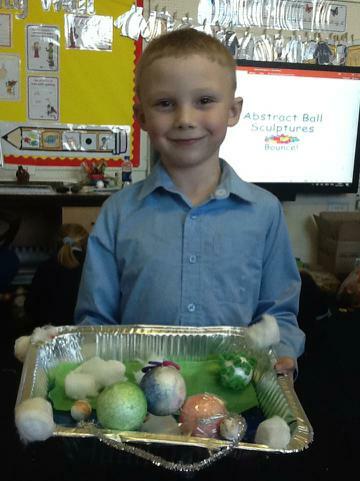 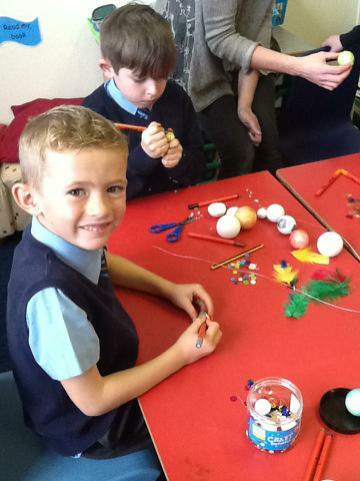 This Thursday, we were really lucky to have the help of Class 2 parents to create our own abstract sculptures from different sized balls! 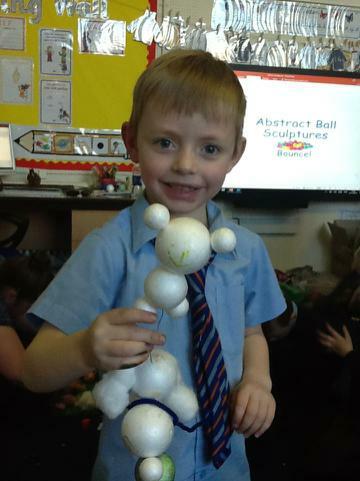 This links to our new topic called Bounce because we are exploring all different types of balls and identifying which bounce. 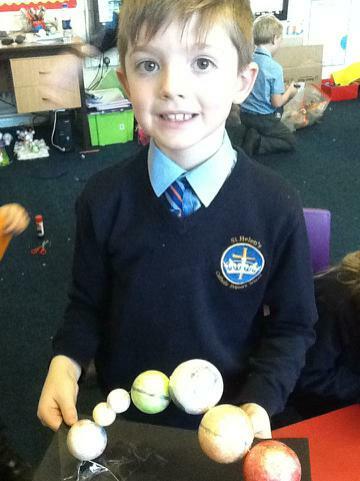 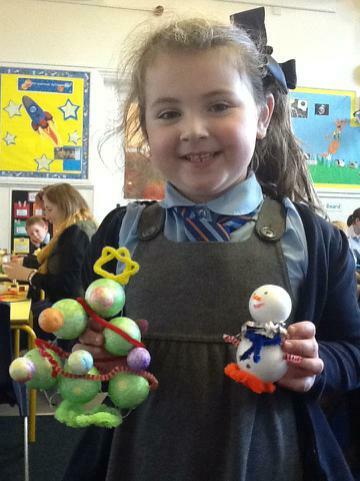 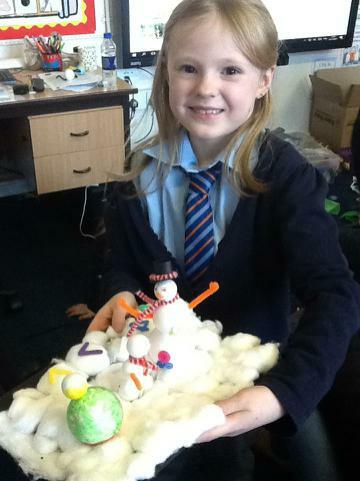 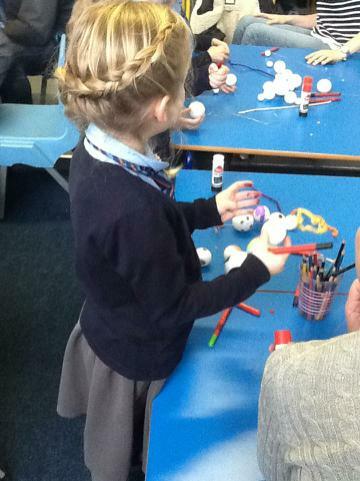 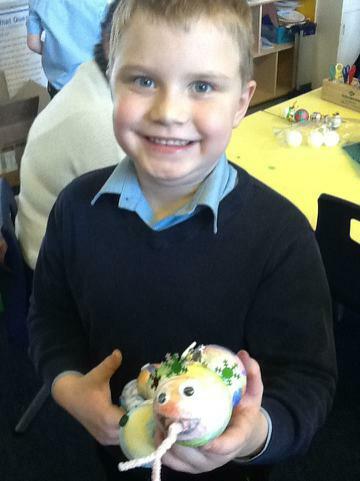 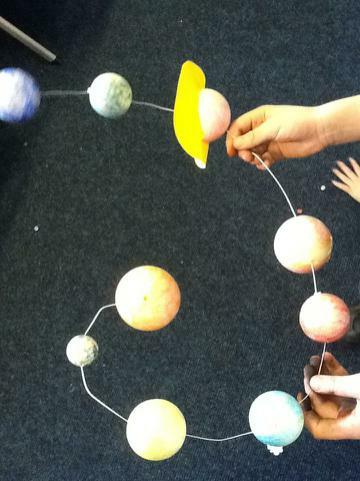 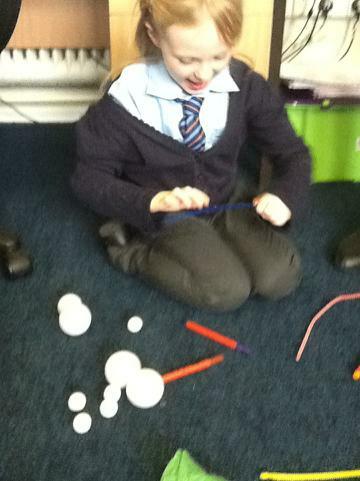 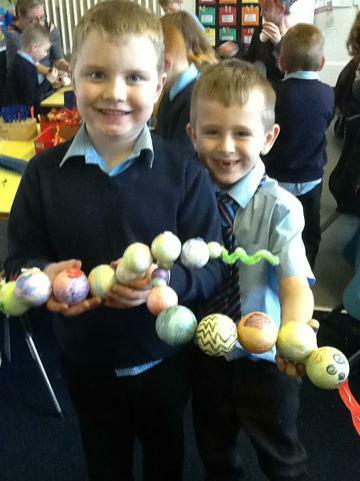 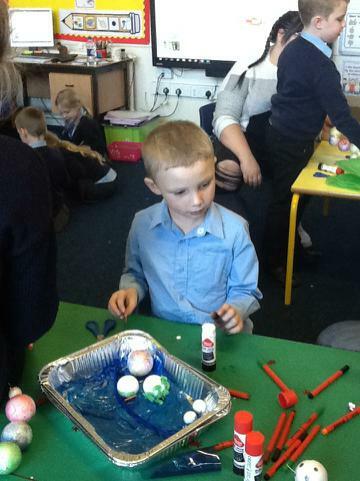 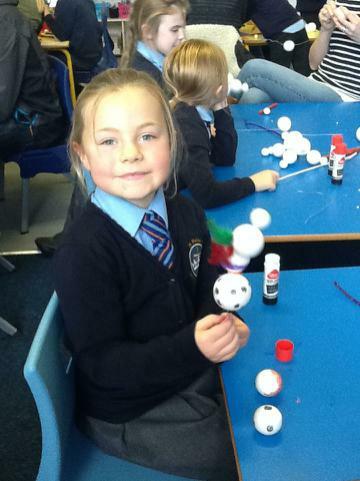 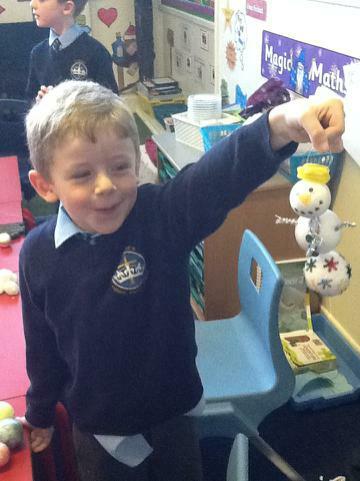 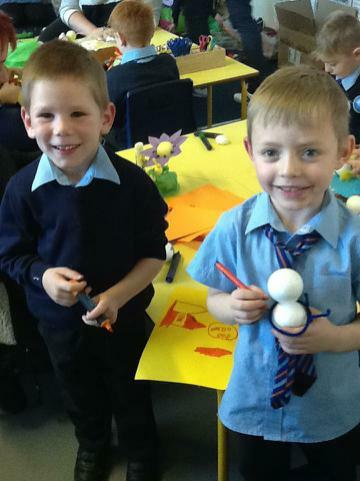 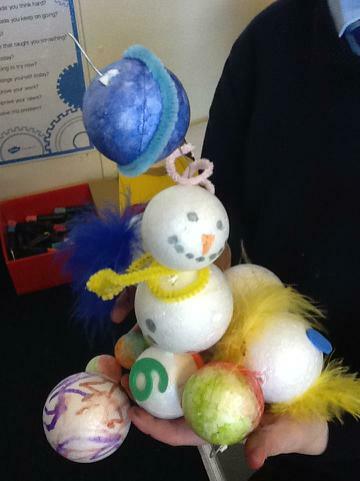 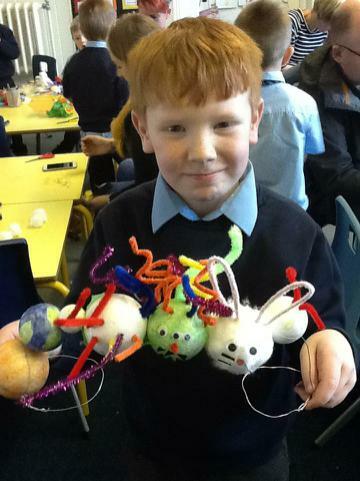 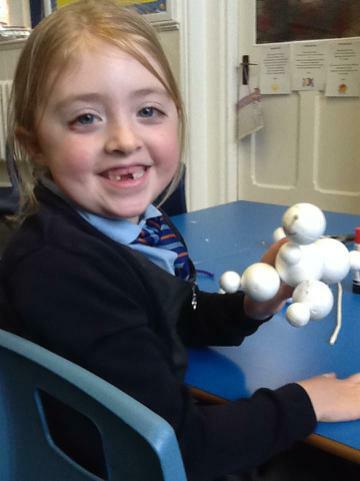 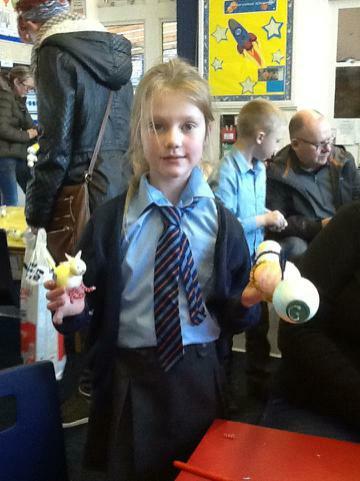 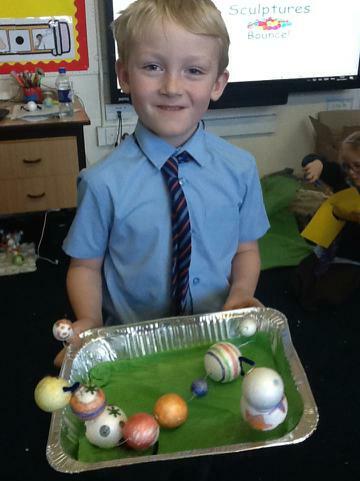 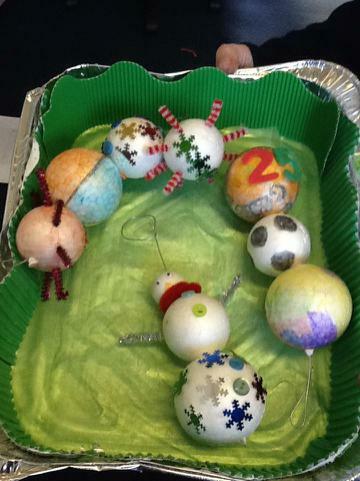 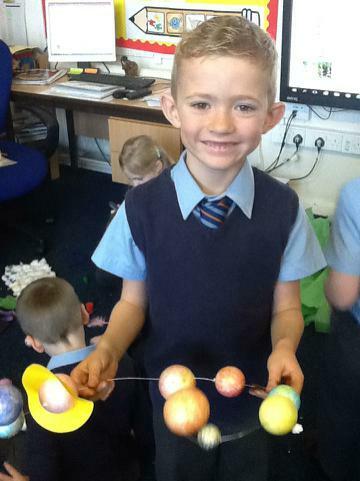 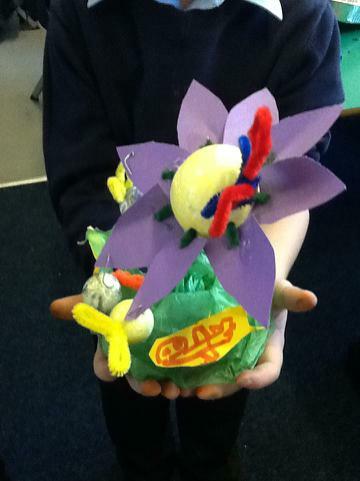 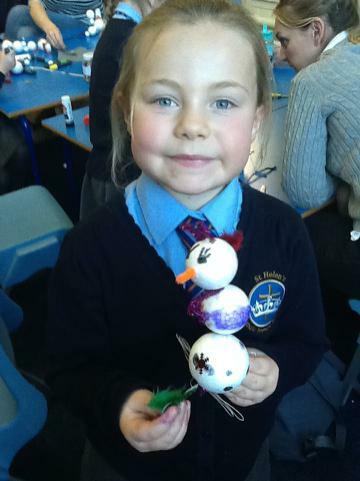 Our sculptures were fantastic and ranged from snowy scenes with snowmen to snakes and even the solar system. 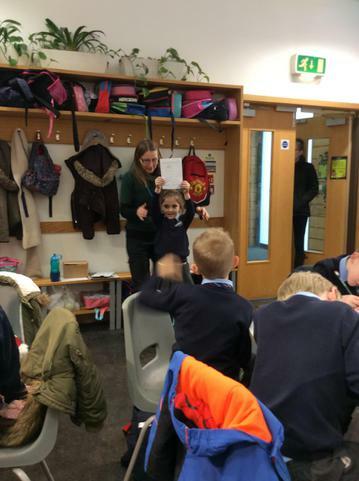 Wonderful work everyone in Class 2 and a huge thank you to all of the parents that came and helped us have a really enjoyable afternoon! 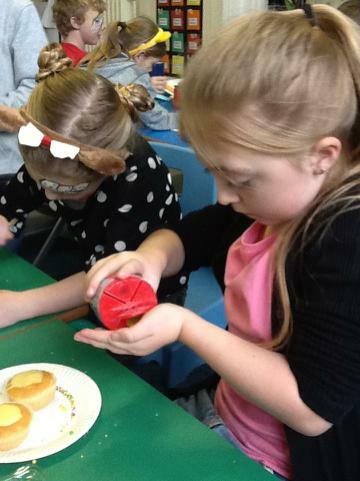 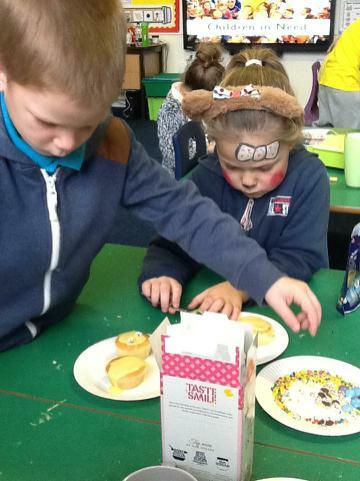 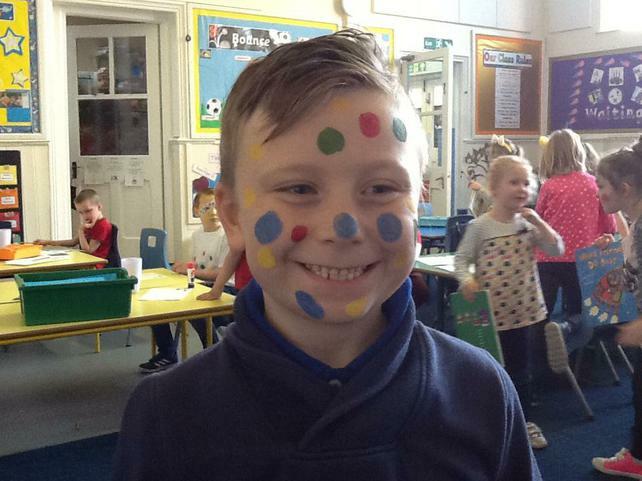 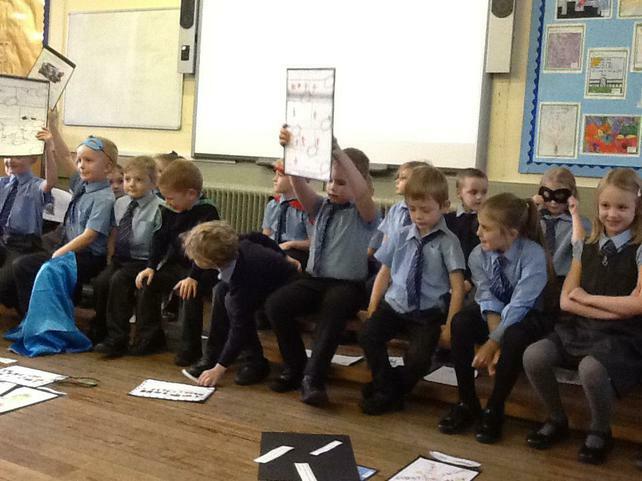 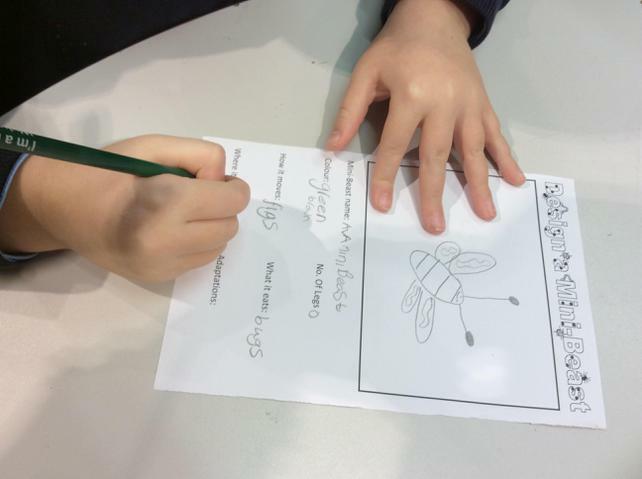 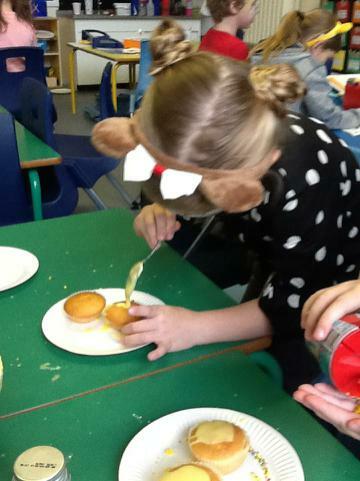 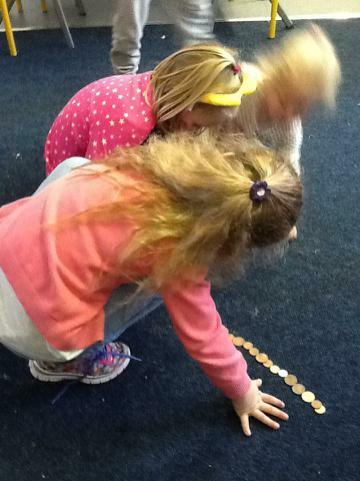 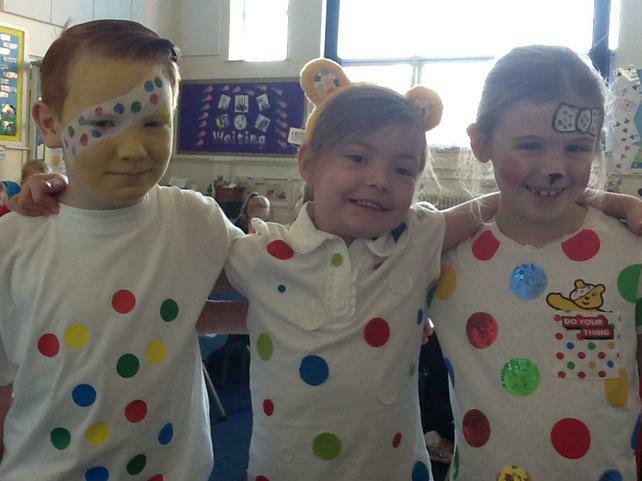 This Friday, we had an excellent time in Class 2 fundraising for Children in Need. 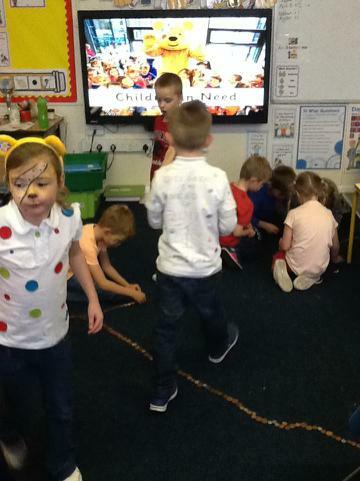 Children in Class 2 dressed in their best Pudsey and Blush attire and, we learnt lots about this fantastic charity and what it does to help children in need. 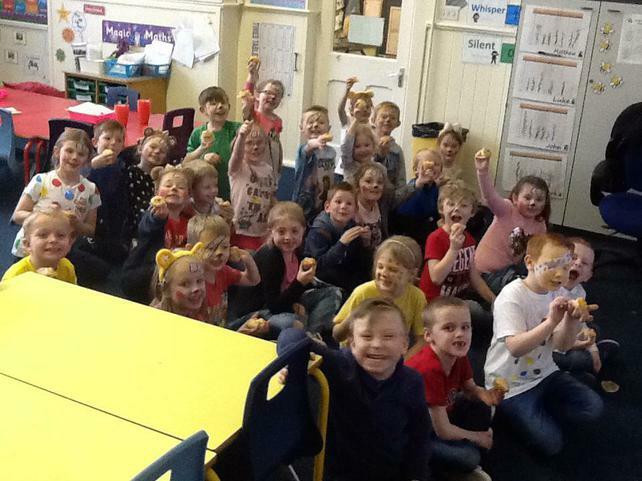 We made a fantastic picture from some of the money we have donated to this charity and we made beautiful buns to sell as well as creating our own Children in Need pictures to take home. 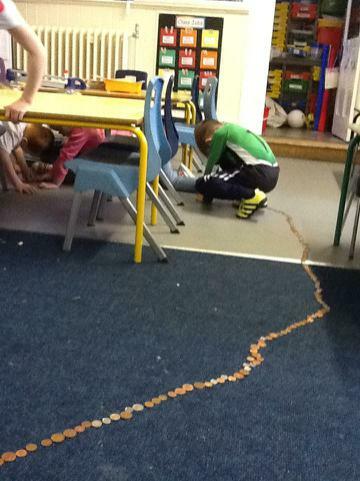 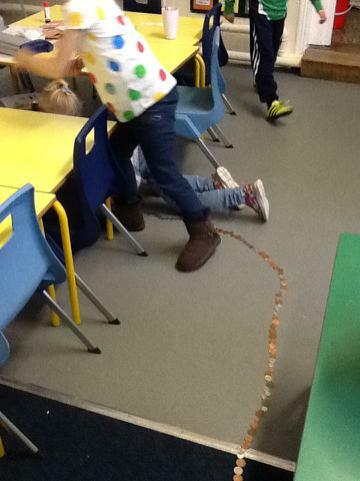 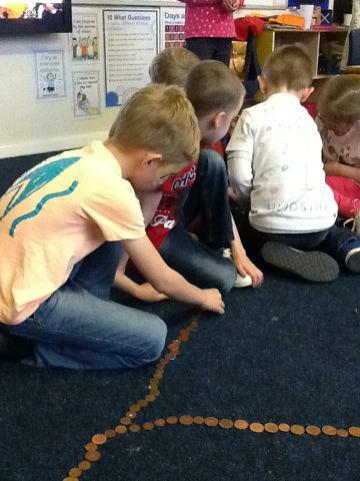 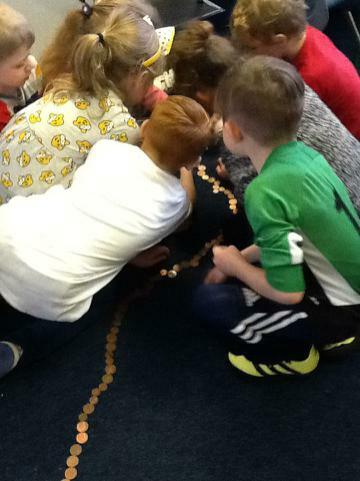 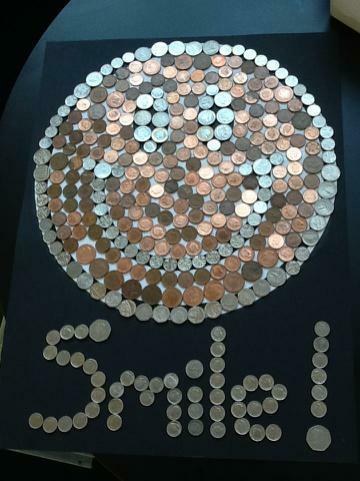 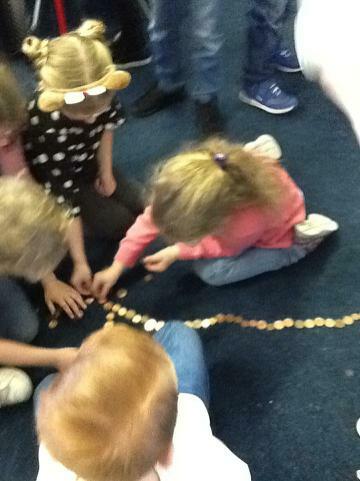 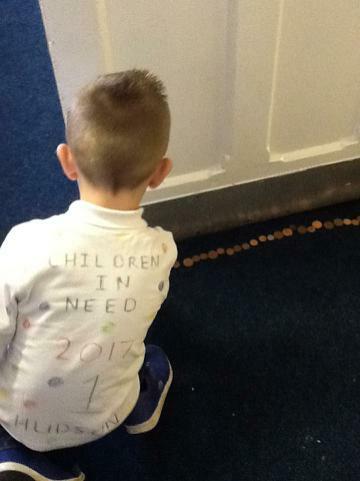 We finished our day on such a fun note when we contributed to our huge school penny trail; we made a long trail all around Class 2 which attached to the other classes and travelled all around the school! 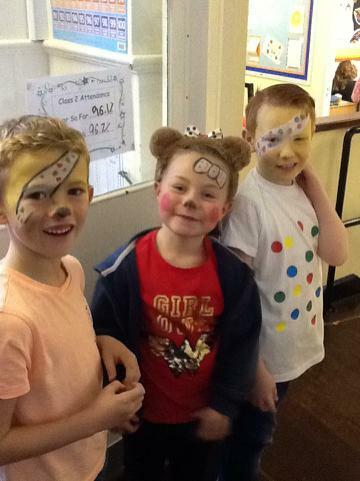 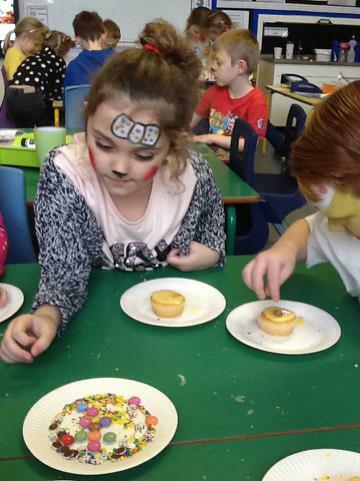 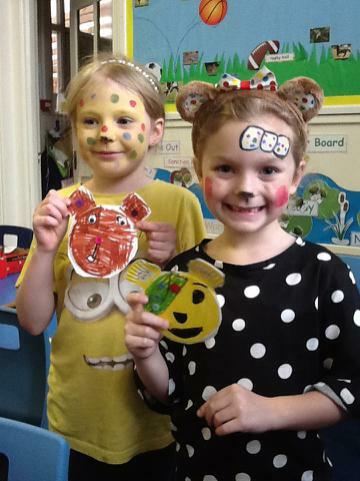 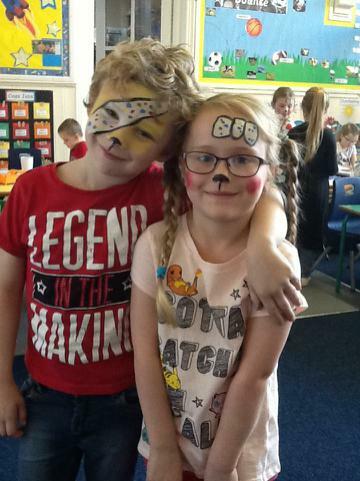 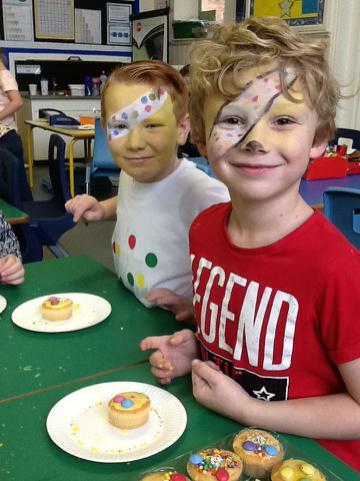 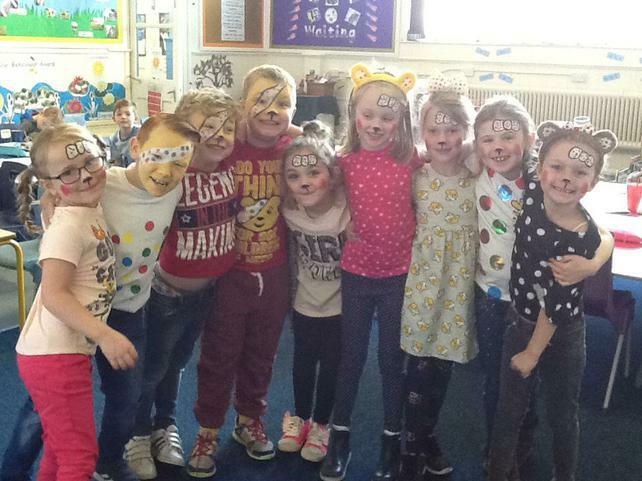 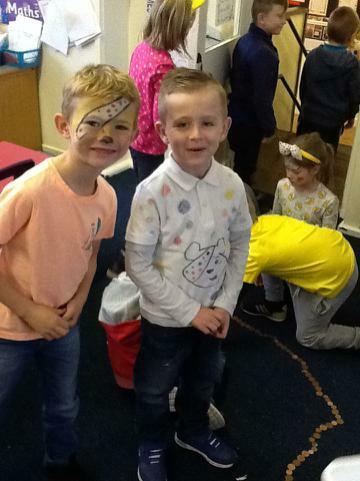 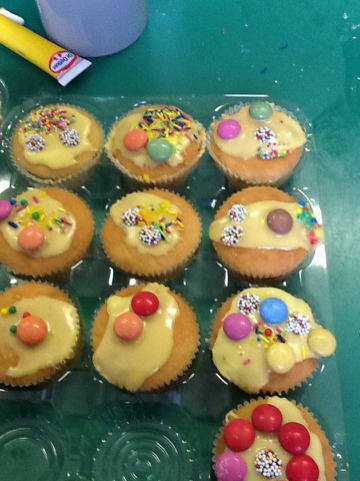 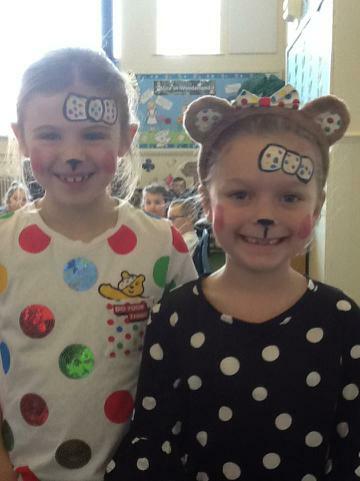 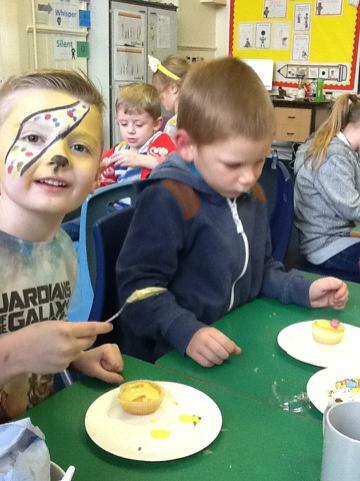 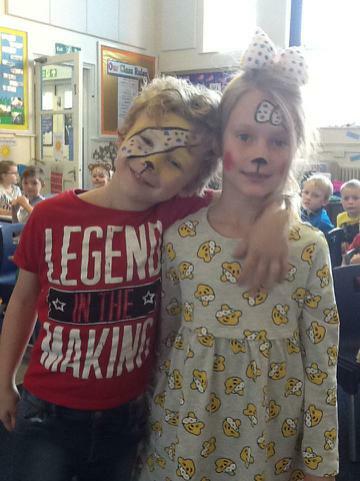 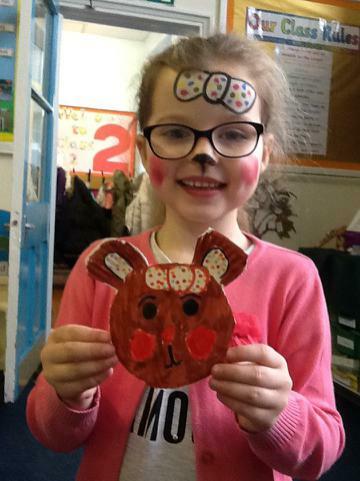 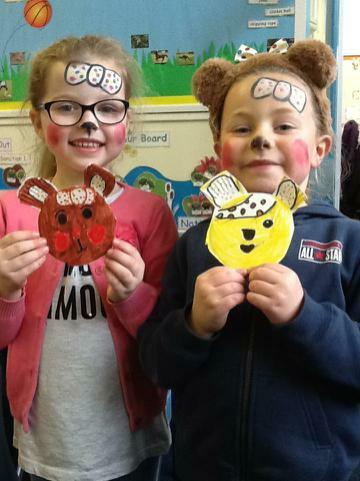 Well done to everyone in Class 2 for really getting in to the spirit and fundraising for Children in Need! 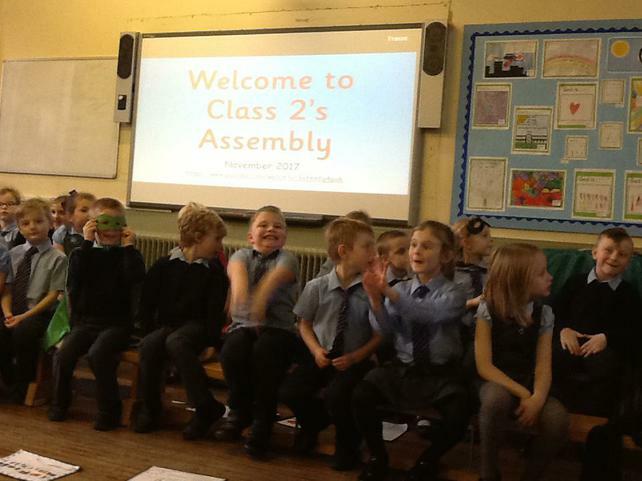 This week, Class 2 have come back to school with fantastic attitudes and have been ready for any challenge given to them, including, our very own Class Assembly! 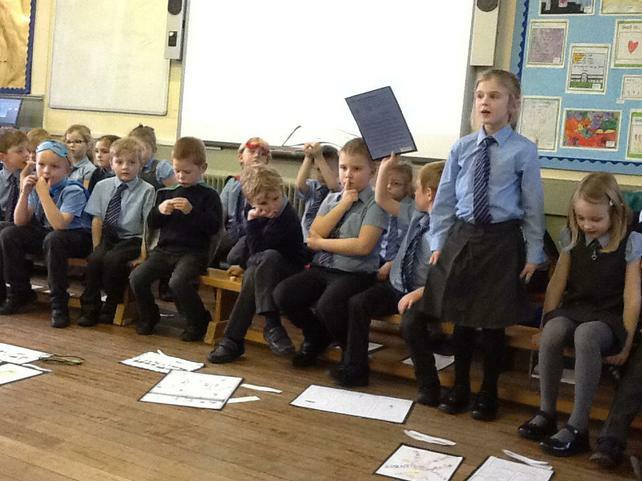 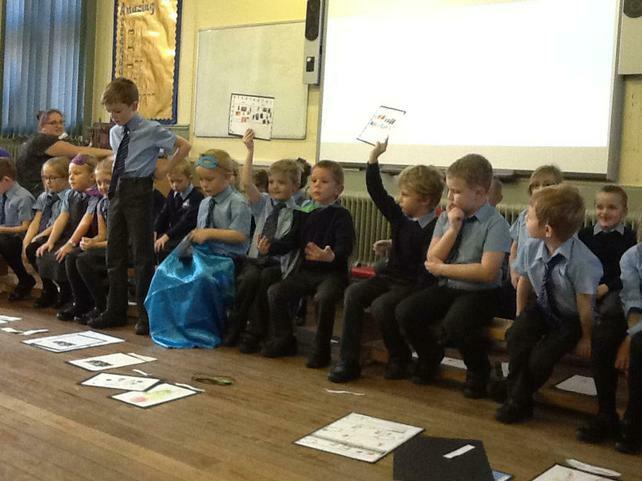 On Wednesday, we had our first Class 2 Assembly together and the children presented their learning and time in Class 2 beautifully! 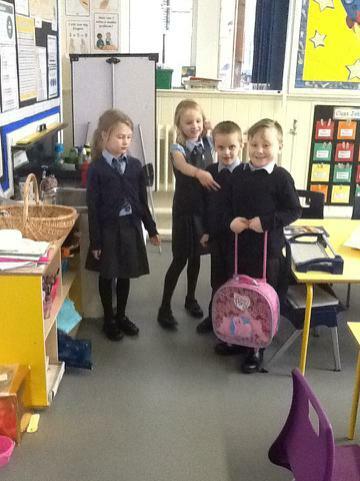 Well done to everyone in our Class for your hard work this week.